After having taken our fotos of the sunset around the Georgy hut, we sleep well though being on 3200m. 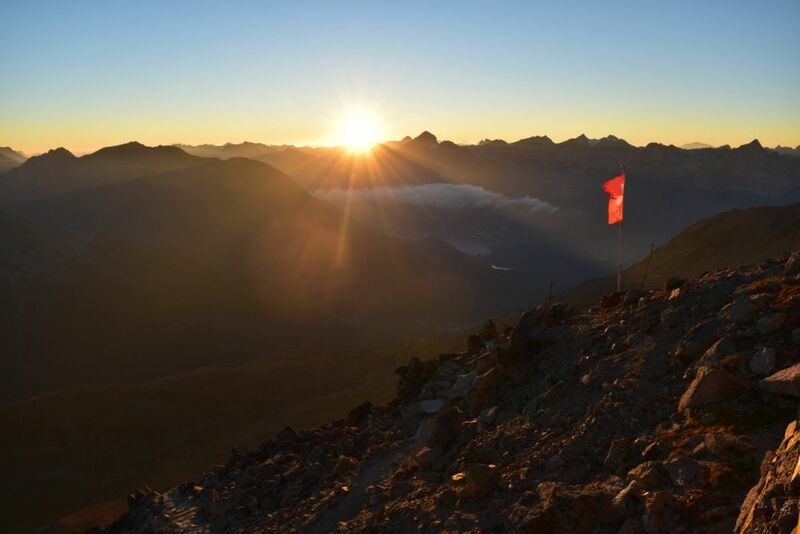 Thanks to our alarm clock, we wake up early enough to watch the dawn before seven am – looking to the west in the direction of St. Moritz and the Julier. 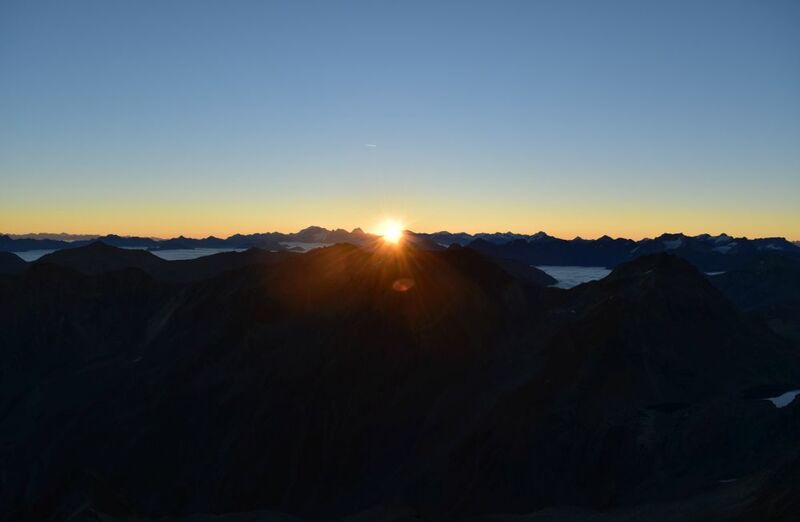 We are standing on the tiny helicopter landing spot just above the hut and around seven am, the sun rises in the east. Claudio and his friend from Nepal serve an excellent breakfast. 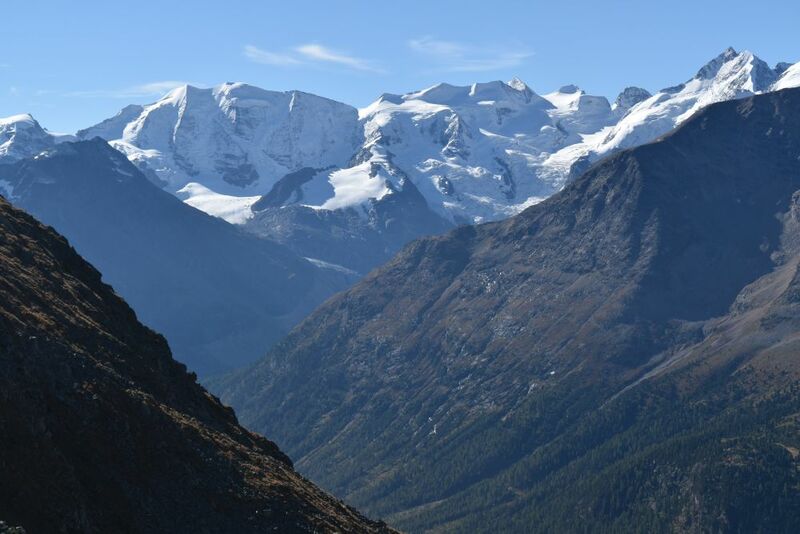 After having walked down some 900m, we look back to the Piz Languard. 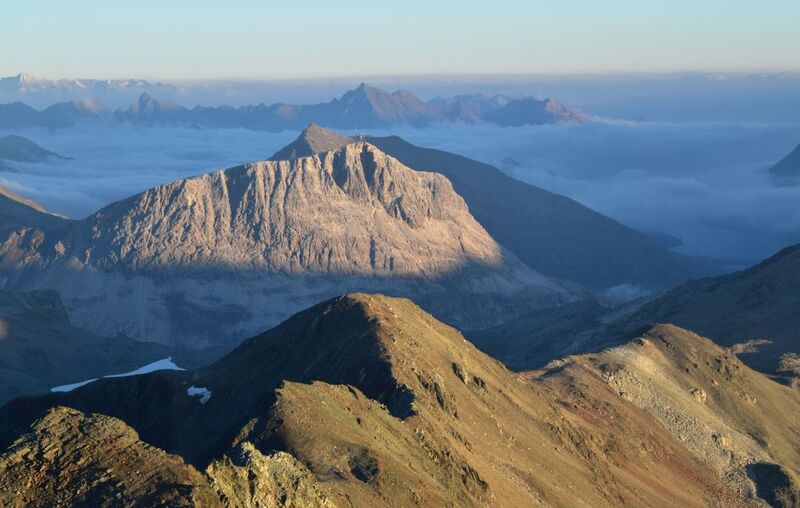 The Piz is the triangular peak to the left. We say good-bye to the Georgy hut that lies just below that peak. 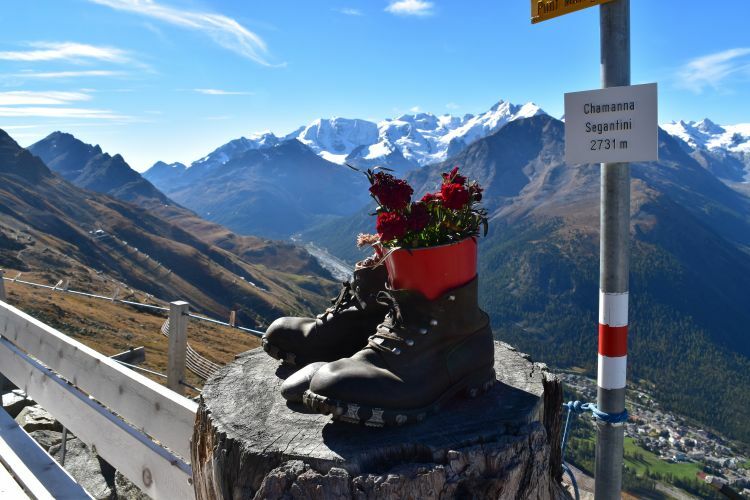 We take the chairlift down to Pontresina, then hop on to the bus to Maloja and settle in the Sport hotel. 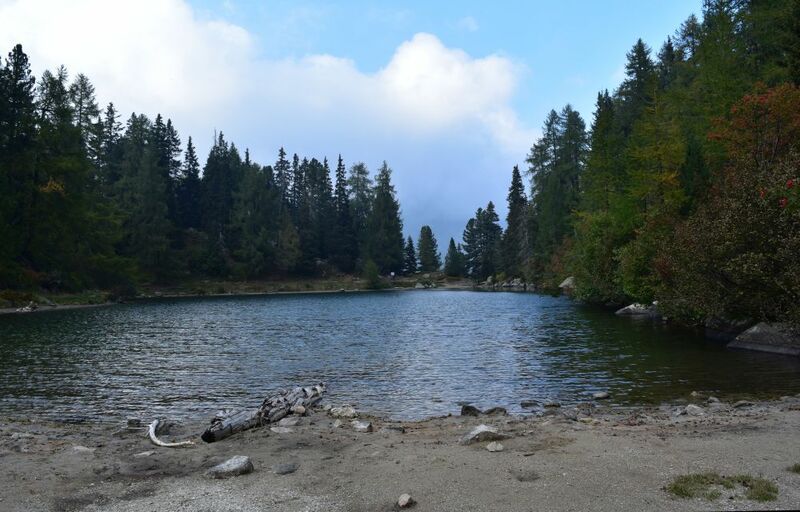 From here, we visit the Bithaberg lake, just half an hour away. 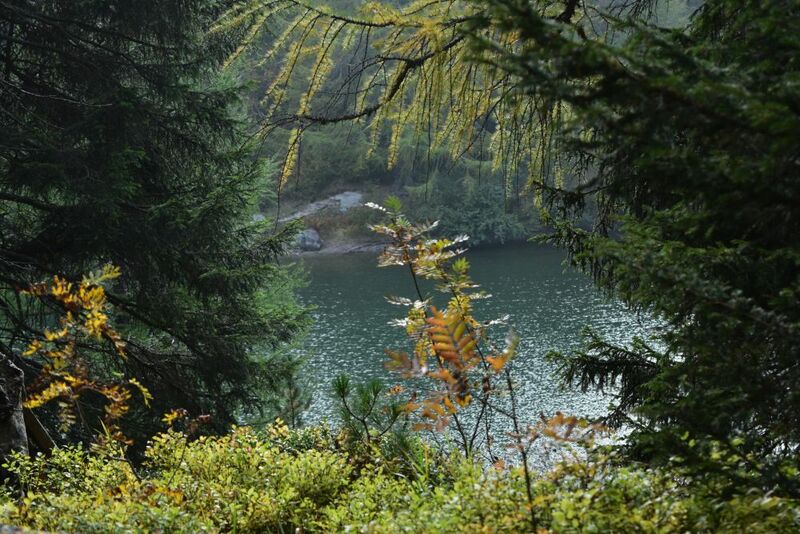 Autumn has just started shily with some first yellow leaves here at the Bitabergh lake. I am convinced that an old knight will now emerge from this lake, because after having loved a noble lady he cannot find peace. However, neither our host nor “Dr. Google” know any legends about this romantic lake. 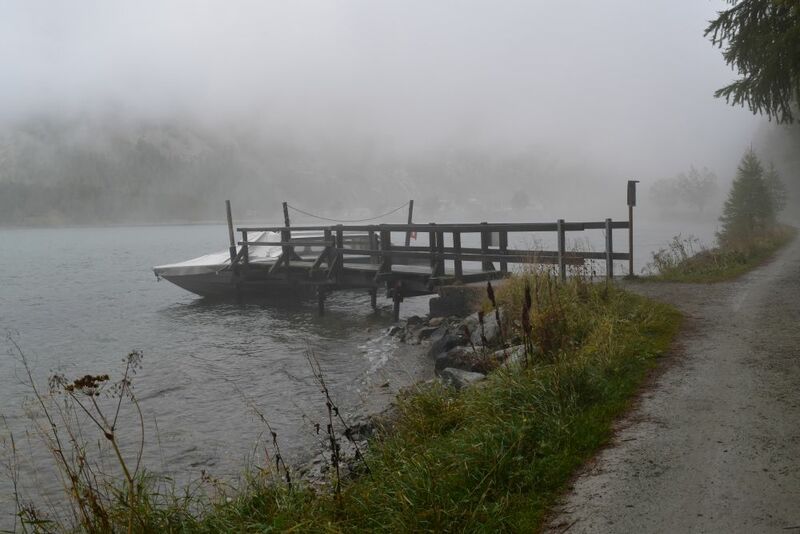 On our third day in the Engadin, the weather has changed. 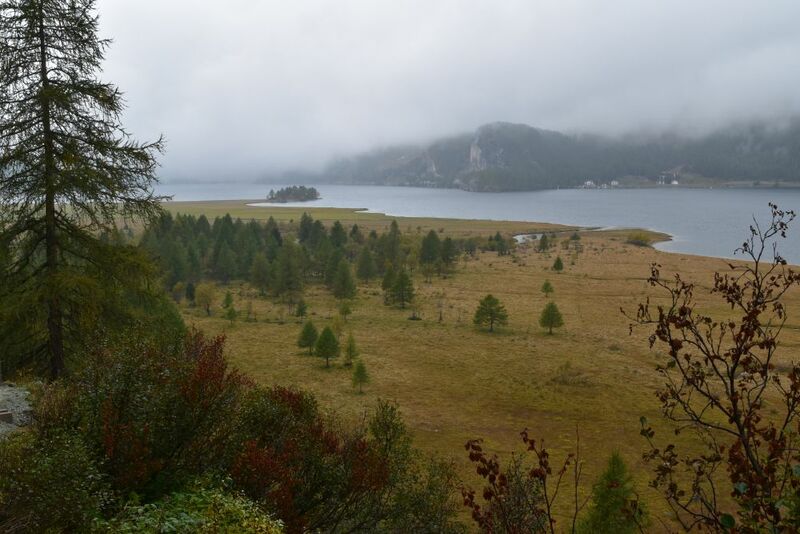 In the drizzling rain, we walk along the Maloja lake to Isola and Sils Maria. 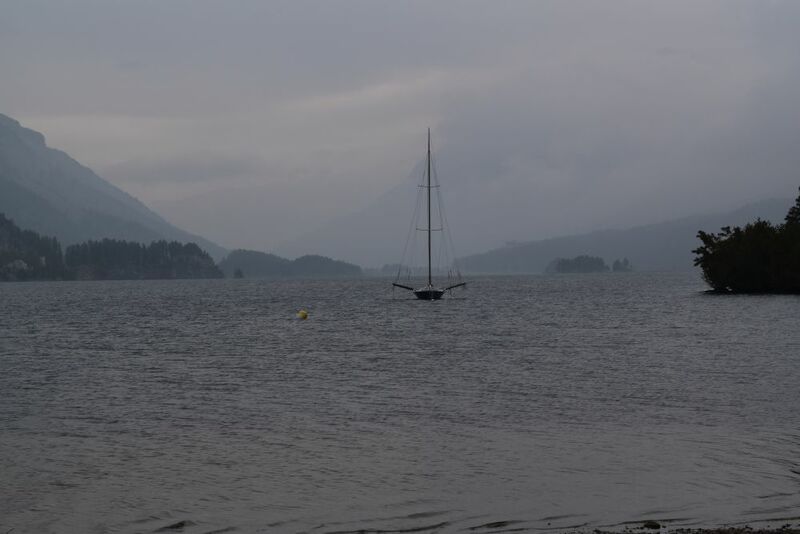 This is a sailing boat that is waiting for better weather and some wind – in the middle of a blue-greyish scenery. 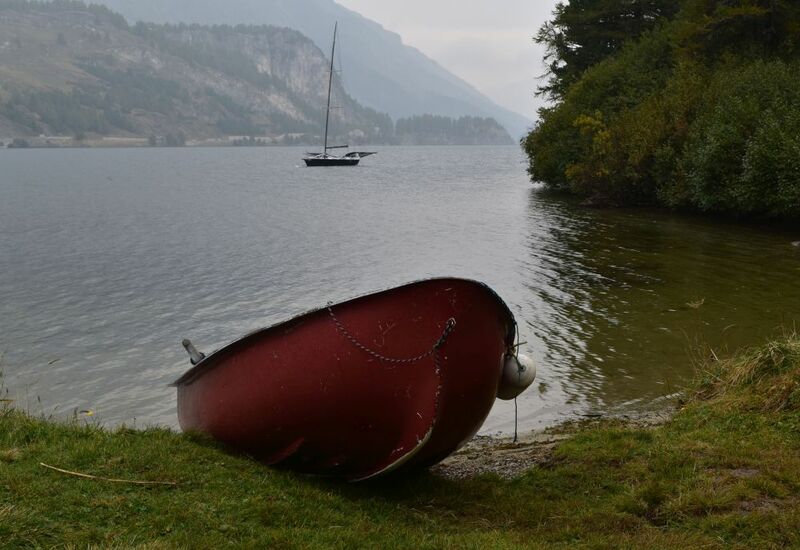 It is waiting together with this red rowing boat. 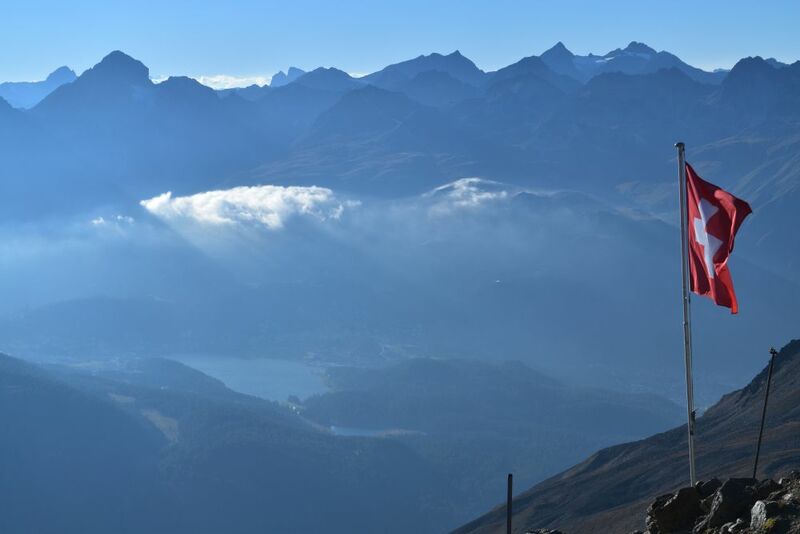 The clouds hang over the lake – we are looking back to Maloja. The lake is transparent and clean, another blue-grey variation. Segantini has painted one of these peers that I now find in the mist. The lake and clouds… do you see the small island in the middle? This is another blue-grey variation. 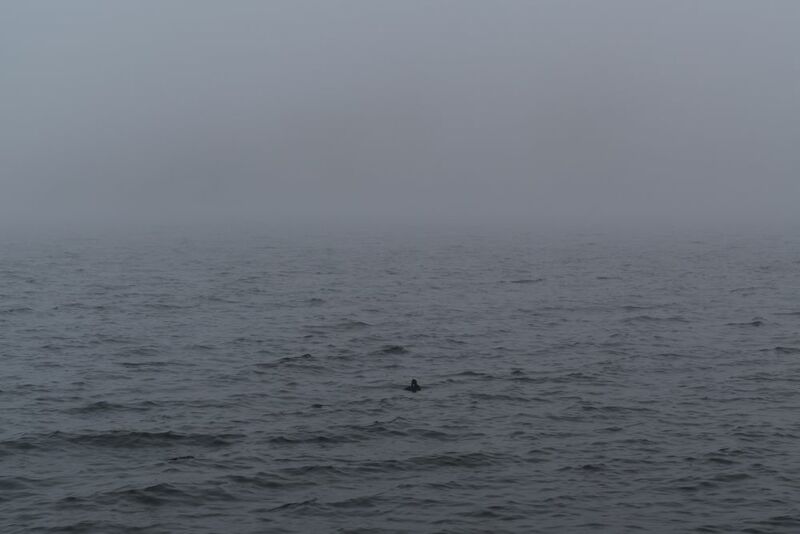 More water and clouds – two shades of greyish blue with one little duck. Yes, it is lovely weather for ducks, but it is also lovely weather for some interesting fotos – not just sunshine, mountains and blue sky, but mono color variations. In a way I have been inspired by the black and white fotos of Guido Baselgia. 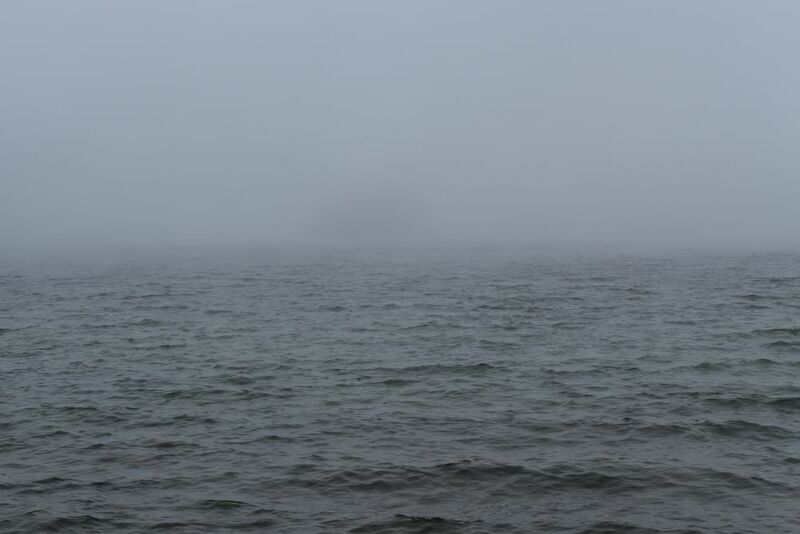 In some of them I see nothing but grey, however my friend explains to me that there are different shades of grey. Hm, maybe you are right? With a good friend of mine, I take the train from Basel to the Engadin. It is Early September and the leaves of the trees and the needles of the larches are still green. 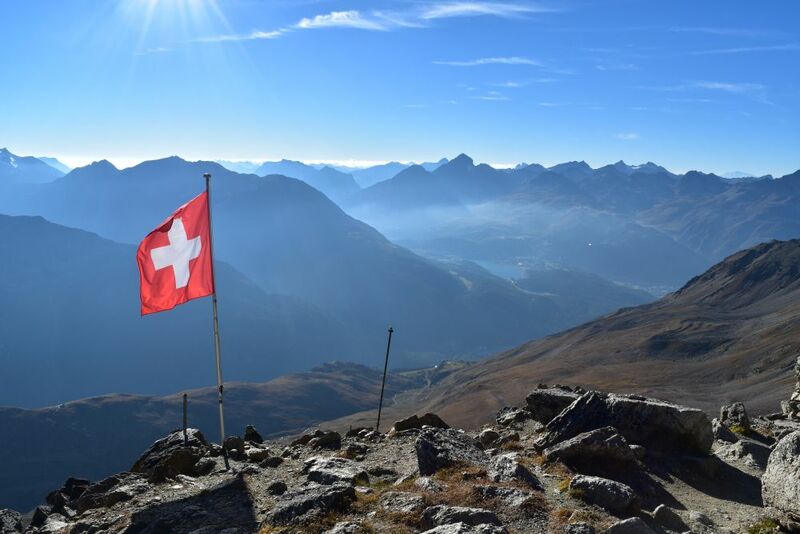 Our target is Pontresina. At x=8 we take the 45 train to Muottas Muragl. 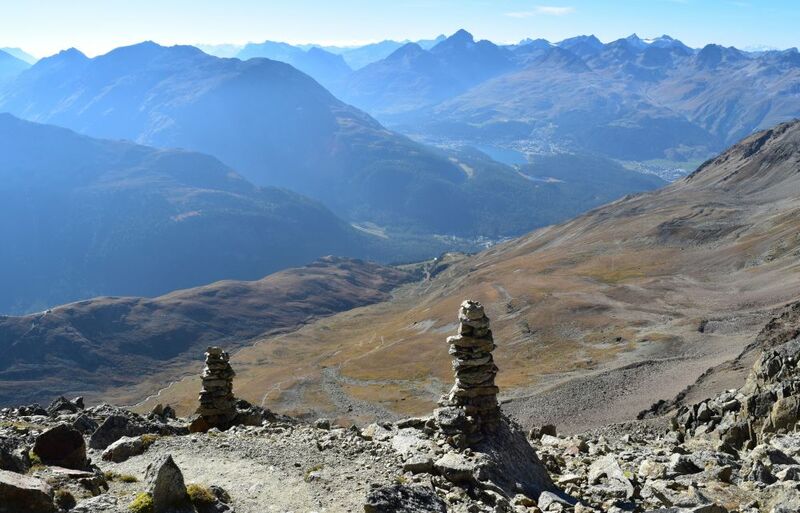 Muottas Muragl is a hill with a gorgeous view of the lakes of the upper Engadin ending with the Maloja pass. 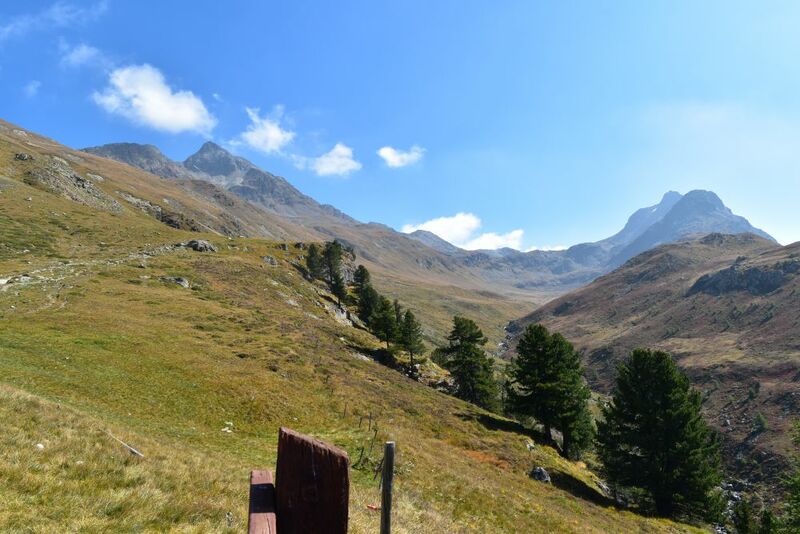 This is the view of the Palü mountains above the Bernina path. 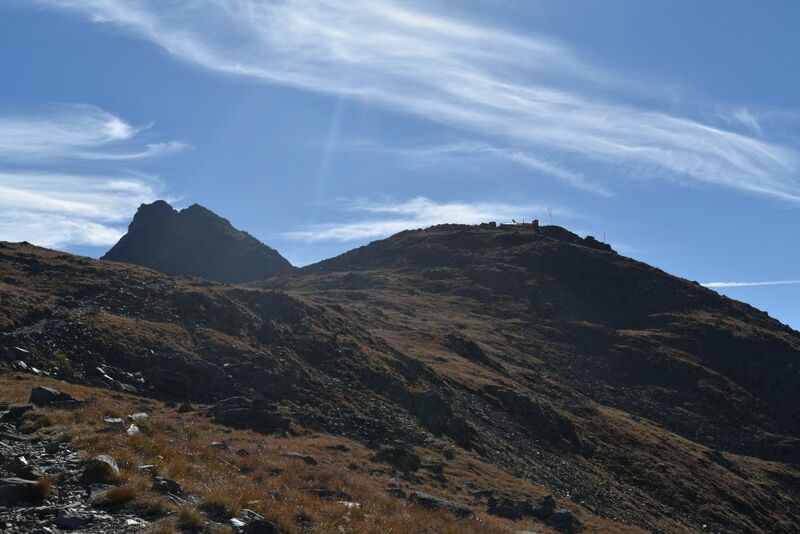 We are approaching the Segantini hut on 2730m. The hut takes its name from Segantini who loved to paint here. When he was working at the famous Alpine Triptychon, he died here in 1899. 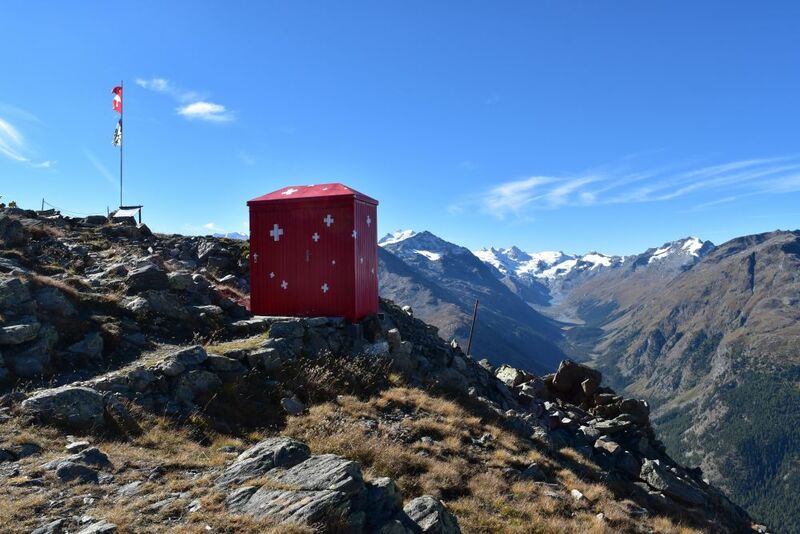 This is the “Swiss” toilet of the Segantini hut. Perhaps someone has forgotten his shoes here. 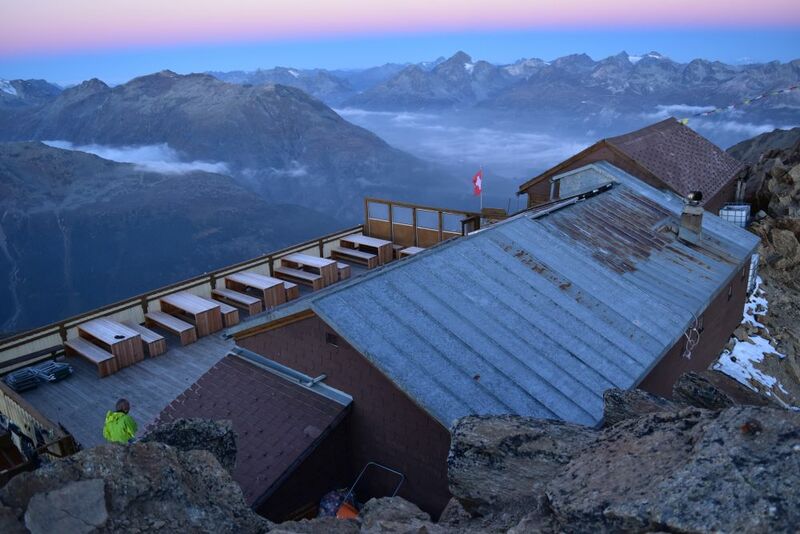 After a long climb we reach the Georgy hut on 3200m, located just below the Piz Languard. Also Georgy was a painter. 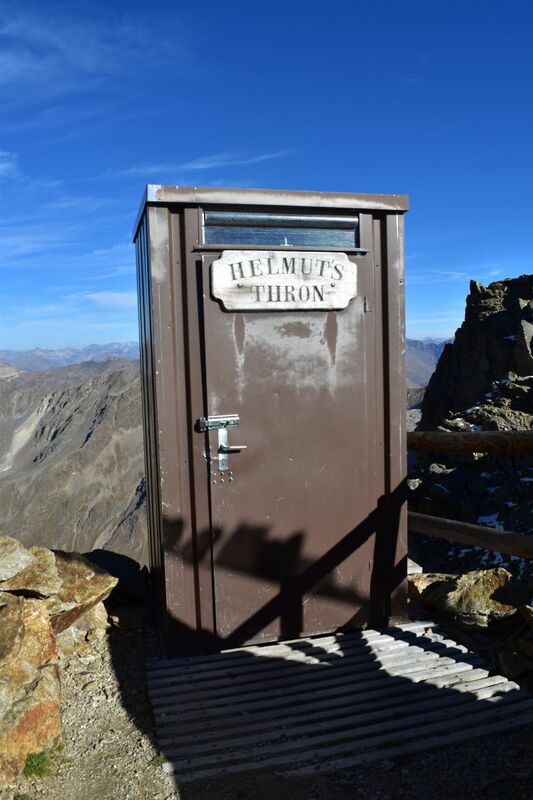 … and this is the toilet. 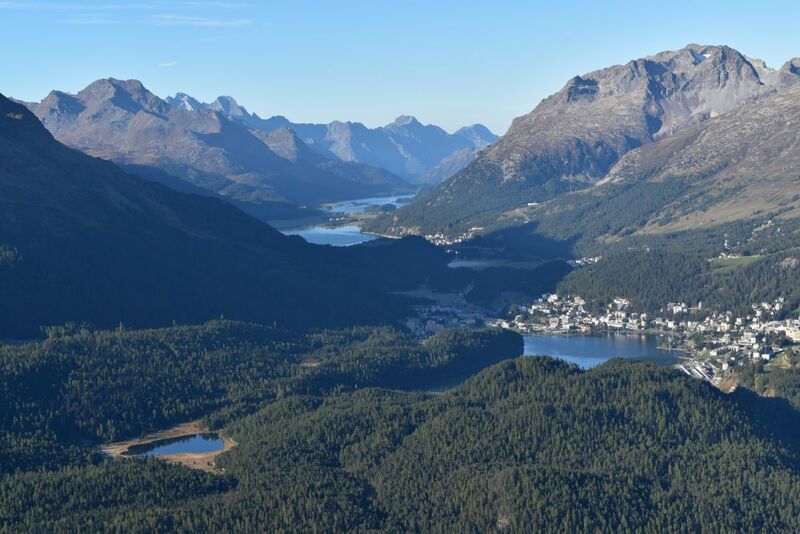 Later in the afternoon I take a photo of the view towards St. Moritz with its lake. … and is materializing more and more. Clouds are now covering the Bernina pass below us. Shortly after seven pm the sun is setting. Claudio has deferred the dinner to after the sunset – thank you. We enjoy dinner with a couple and their friend from the Bernese Oberland. Under sparkling stars we sleep well, sometimes getting up to pay a visit to Helmut’s thron above the rocks. 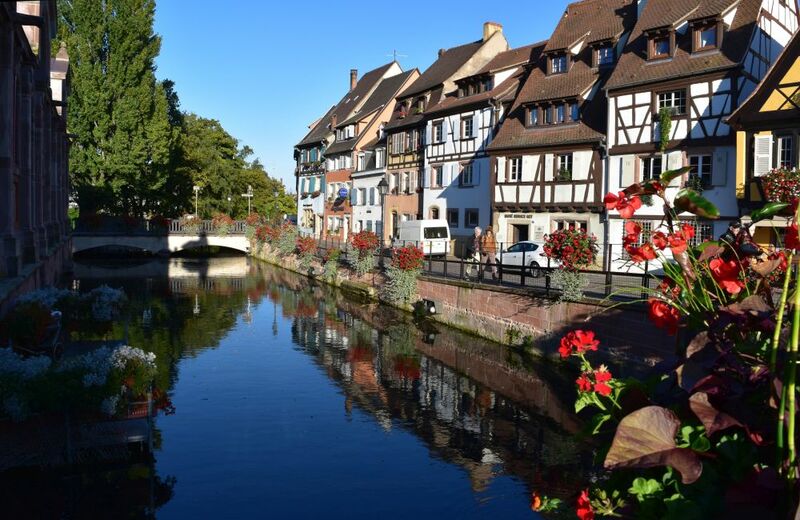 On a beautiful and chilly October day in 2016, we drive to Colmar for a one day excursion. Ursula and her mum are joining me. 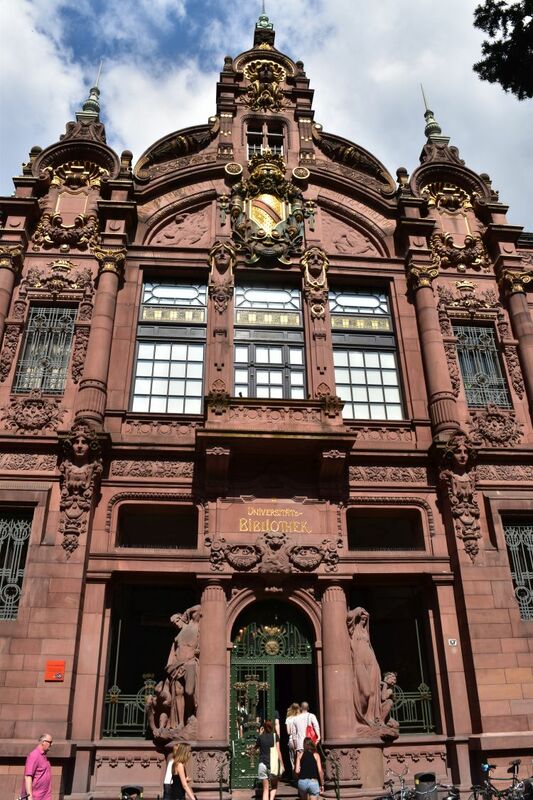 We want to see the renovated museum Unterlinden with its famous altar of Issenheim and stroll through the pretty town of Colmar. 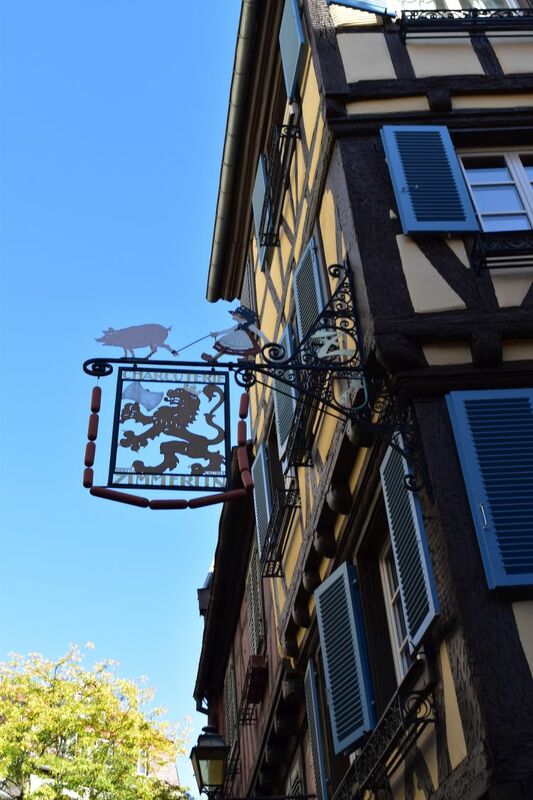 Within an hour, we arrive in Colmar and park our car in the city center under the townhall or “mairie”. We take a coffee and then enter the museum Unterlinden (in English: “Under Lindens”). 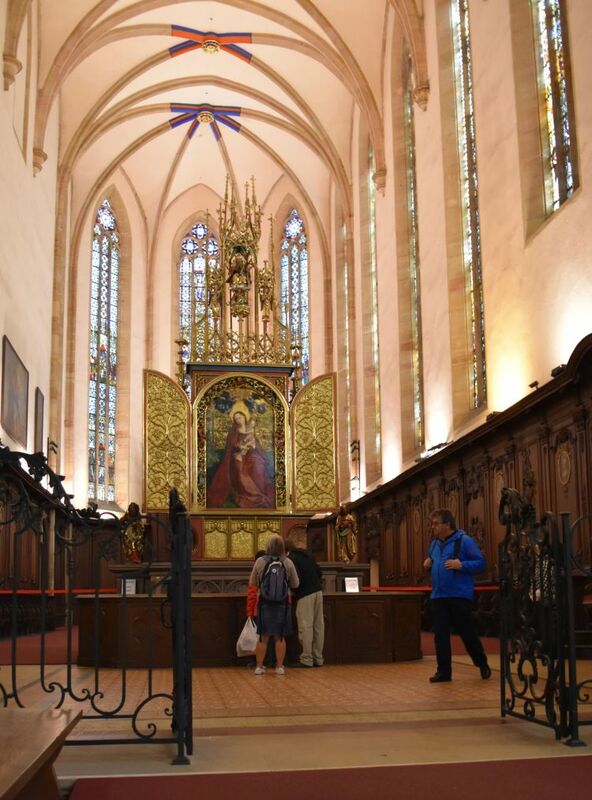 In the museum Unterlinden, we first want to see the altar of Issenheim in the church of the former lady monastery. This church displays this one altar that consists of several wings. It is like a huge book. The book is unfolded to show all its pages to the visitors. 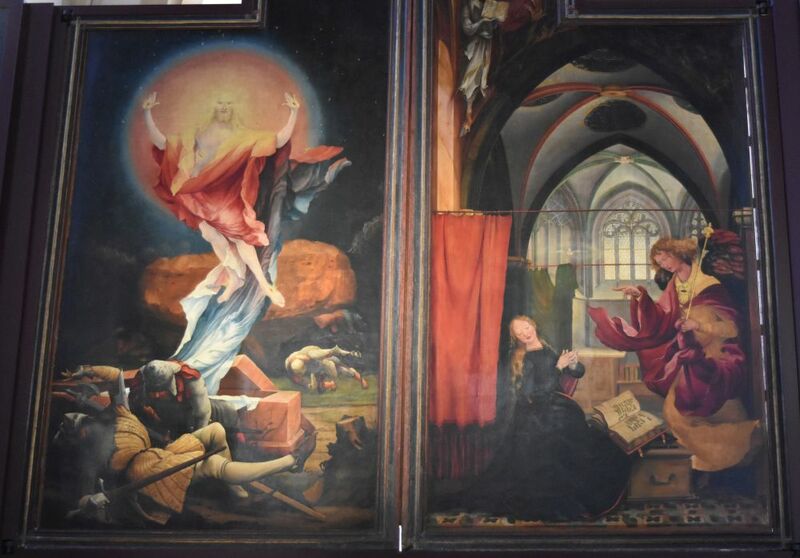 The altar has been painted by Matthias Grünewald in 1515. It was the Antonian monks of Issenheim (not far from Colmar) who had ordered it. The altar centers around Saint Antonius, an Egyptian hermit of the 3rd century (Daniel Koniezka: “Le rétable d’ Issenheim – l’histoire d’un tableau magique”, Editions Artlys 2015 and “Kostbarkeiten aus dem Colmarer Unterlindenmuseum, Christopherus Verlag, 1964). The relics of Antonius were used in the 11th century to mitigate the symptoms of the so called “Antonius fire” caused by the ergot in the grain (“Mutterkorn” in German, it is a toxic mushroom). The Antonian monks run hospitals for the people suffering from the Antonius fire and one of these hospitals was attached to the monastery of Issenheim. The monastery flourished in the 15th century and ordered the altar. 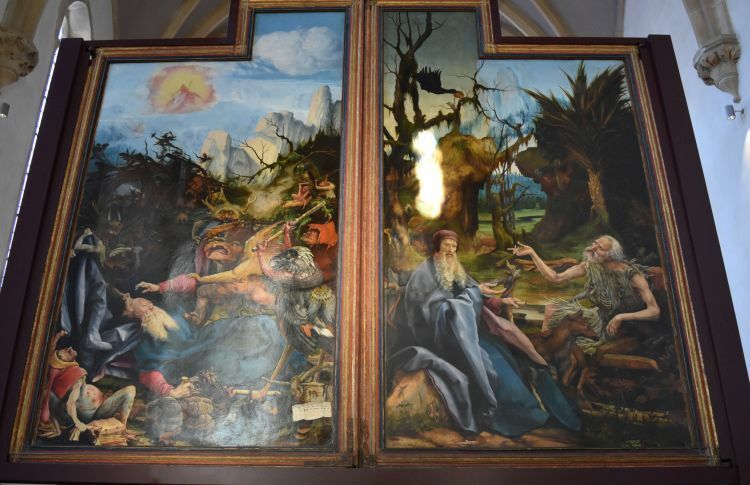 To my opinion the most impressive paintings of the altar shows the temptations of the hermit Antonius. Demons try to distract Antonius from his belief, but he calmly continues to trust in God (with his white hair and blue coat he lies in the middle of the left panel). The demons show signs of the Antonius fire (such as the limbs becoming black – “burning” – and falling off). 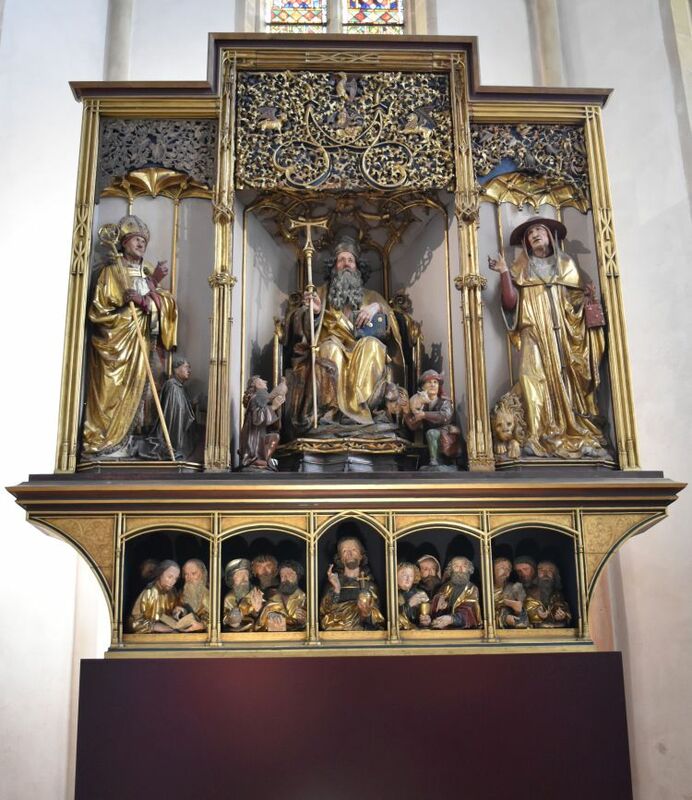 I had seen this altar before in the 1970’s and I remembered the temptations of Antonius – for more than 40 years I could not forget these demons and the serene face of Antonius. On the right hand painting, Saint Antonius (in his blue coat) discusses with Paul Eremitus, also an Egyptian hermit. The altar also describes the life of Christ. There is a beautiful representation of the crucification. This panel shows Archangel Gabriel announcing to Maria that she will have THAT son (to the right) and Christ resurrecting from the grave on Easter Sunday (to the left). When opened completely, these sculptures appear (made by Niklaus von Hagenau). Saint Antonius sits in the middle with Augustinus to his left and Hieronmymus to his right. At the bottom the twelve apostles are surrounding Christ. 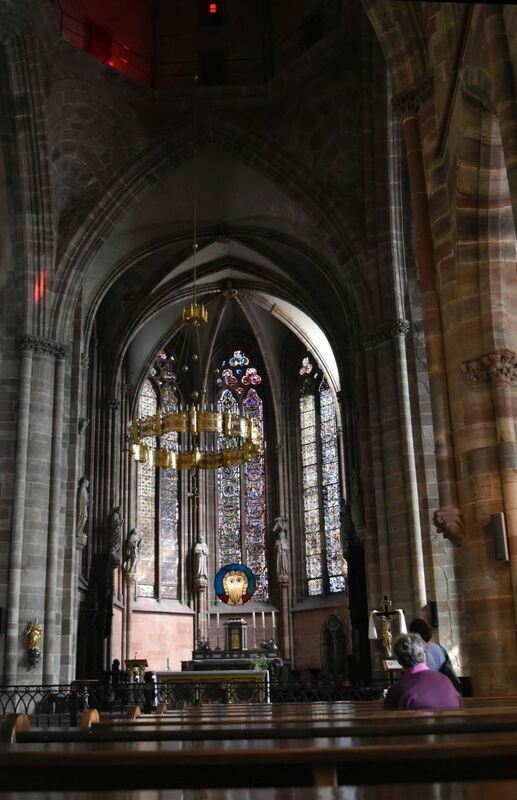 In 1793 the altar of Issenheim was brought here to Colmar to save it from the destructions taking place during the French Revolution. 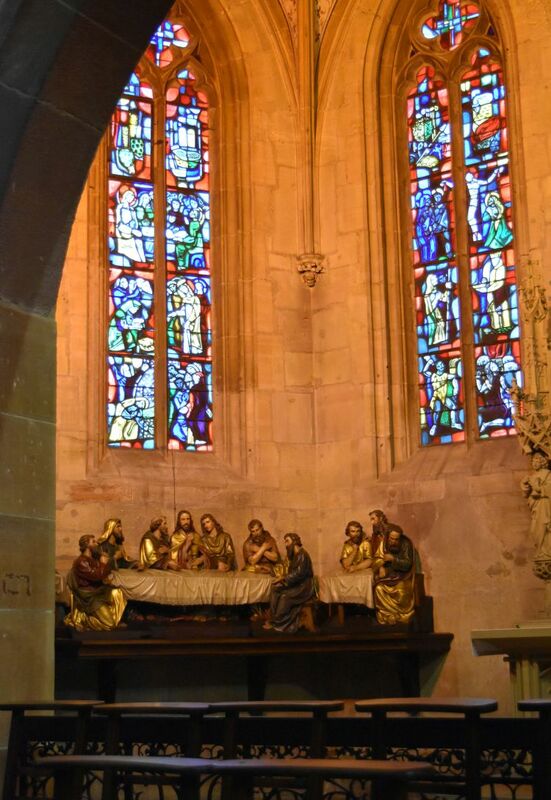 There are many more medieval altars and sculptures worth seeing in the museum. I loved this sculpture of Maria with her son from the end of the 15th century. How natural the baby looks and how tender the mother is. Just beautiful. 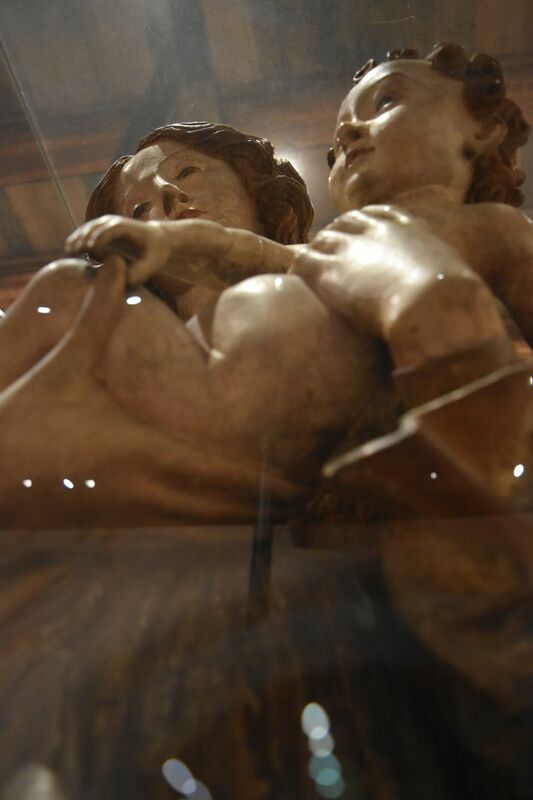 It is the “Vierge de L’Enfant de Niedermohrschwihr” made from linden wood in the end of the 15th century. The museum Unterlinden has much more to show . 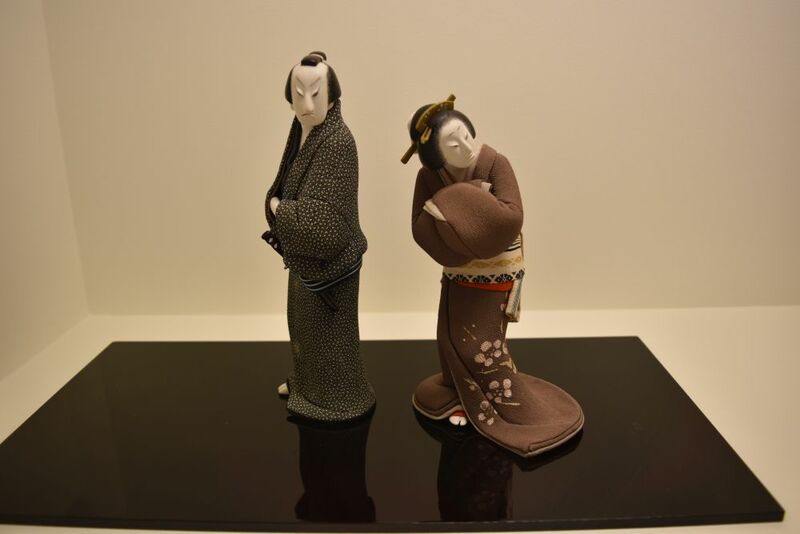 I loved the special exhibition of Japanese dolls of Hatsuko Ohno. I did not know that making dolls can result in such works of art. This couple seems to disagree about something… well that can happen in any culture. 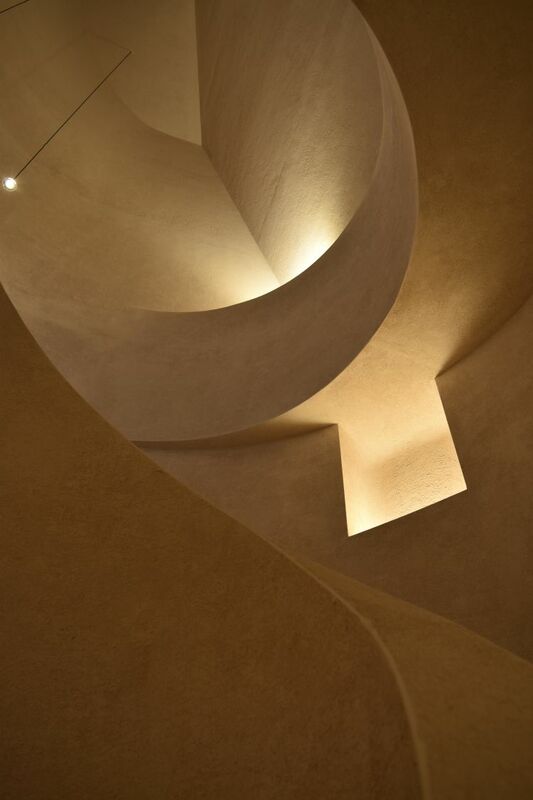 Herzog & De Meuron have built a new annex to the museum Unterlinden… I love the pattern of light in their staircase. Next door in the church of the Dominican monastery we find Martin Schongauer’s Madonna in Rose Garden (Madonna im Rosenhag) from 1473. Illustrations in the church show that the painting of the Madonna has been cut off on all four sides. It is now surrounded by the neogothic frame. Originally she sits in a beautiful garden with flowers and Godfather above her – a romantic atmosphere. The Madonna was stolen in the seventies and found by chance a year later. 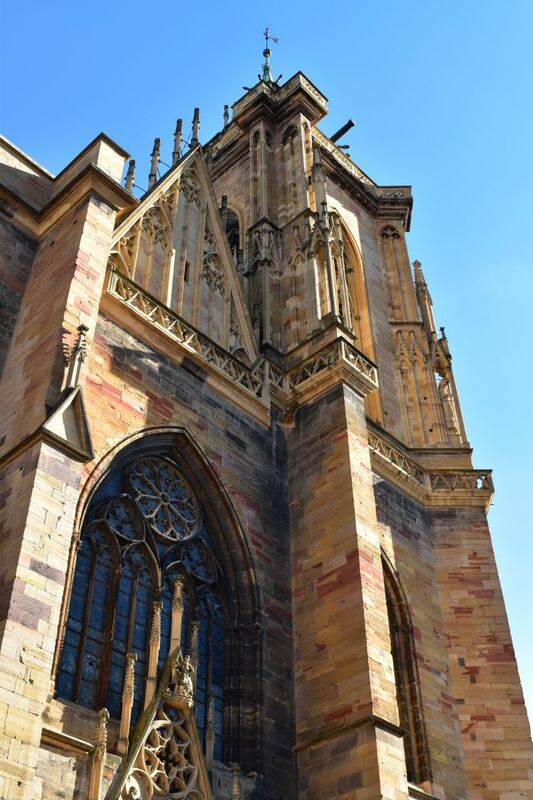 St. Martin church is the most important church in Colmar, also gothic in style, and sometimes refered to as a cathedral though Colmar has never been a bishopric. Inside I am surprised to find this Last Supper – not a painting as usual, but a sculpture in life size from late gothic (15th century). … and I must have liked it, when I was in Colmar in the 19-seventies taking analog black and white fotos and developing them in the darkroom. 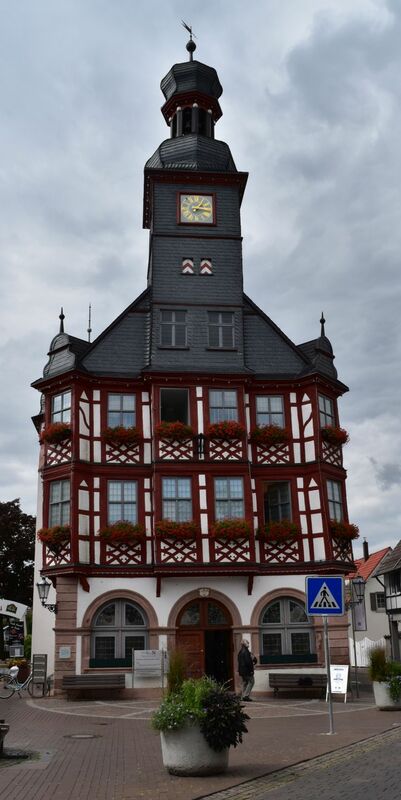 This is a half-timbered house with a nice oriel. 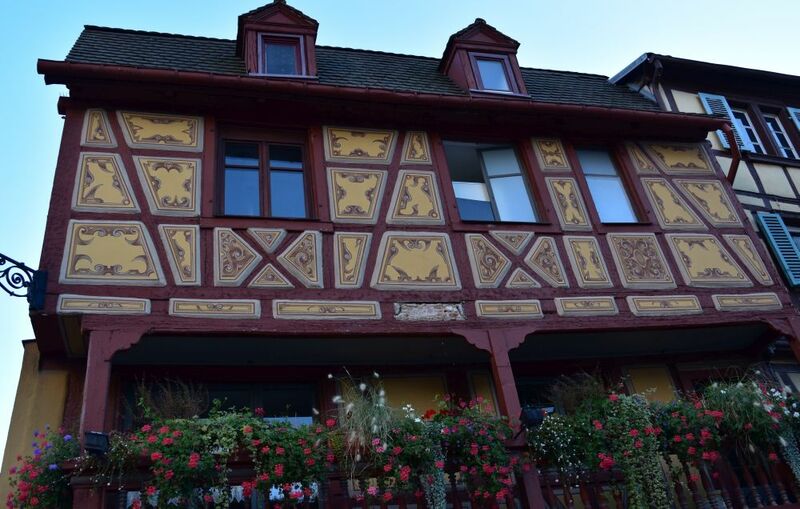 Some of the half-timbered houses are beautifully decorated. The river Lauch allows to take photos with water reflections. We are in the district called “Petite Venise”. We are hungry, but there is no mercy in Colmar. Restaurants open only at seven pm. We find a table in the restaurant Bartholdi where we have trout simmered in Riesling and lamb chops provençales. The meal is okay and the atmosphere is welcoming. By the way, Frédéric Bartholdi is known for having created the Liberty Statue of New York. 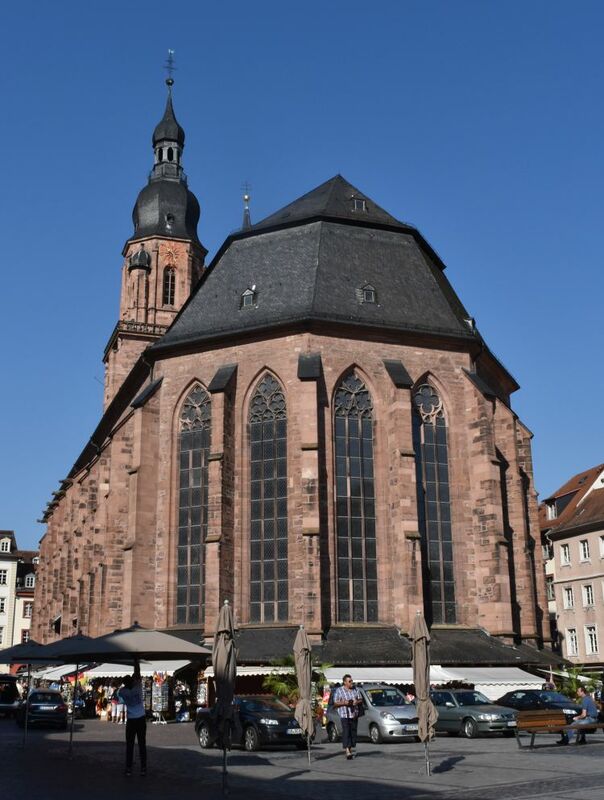 Other monuments include the Lion of Belfort and the memorial of Strassburg in Basel near the train station (Switzerland succoring Strasbourg in the German-French war of 1870/71). 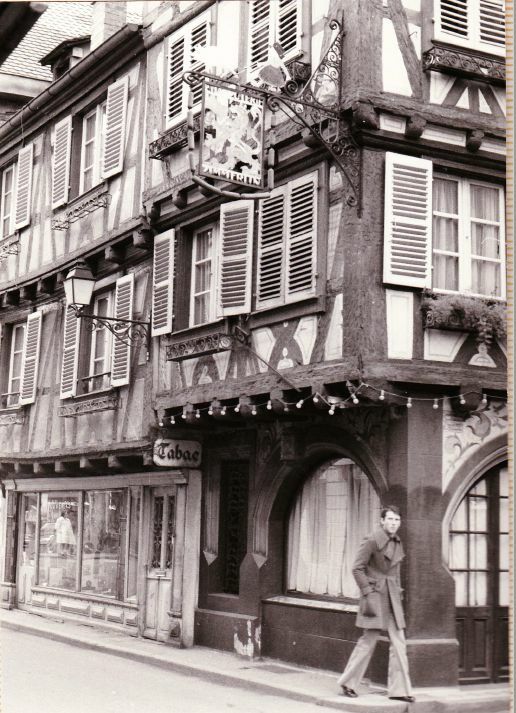 Bartholdi was born in Colmar. We enter the parking house under the townhall (mairie) at 8:45 pm and find out, it closes at 9pm. Okay – still 15 minutes – we insert the ticket into the paying machine. We insert our ticket and the ticket machine spits it out, and spits it out, and spits it out complaining that it cannot read the ticket. Hm. I look for an alarm knob, but all of a sudden, Ursula says: “It worked now, we can insert the money”. 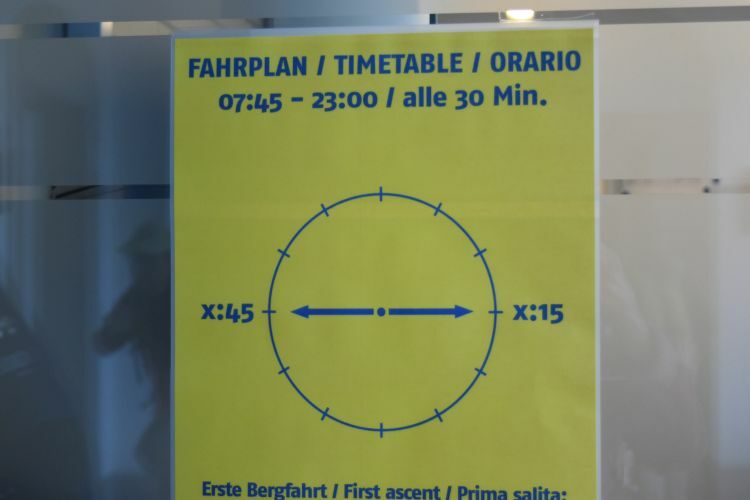 14 Euros is okay for a whole day, almost 12 hours. We insert the money, take our ticket and leave this parking house at 8:55. It will close its doors in five minutes – uff! Half an hour later we reach the border of France with Switzerland and then I drop Ursula and her mum at their home. Together we have spent another beautiful day to remember. Wednesday, our 15th day traveling in Germany. We head south. Our destination is the Alsace in France. We cross the industrial zones around Heidelberg, Mannheim and Ludwigshafen and follow the Deutsche Weinstrasse of the Pfalz southwards. 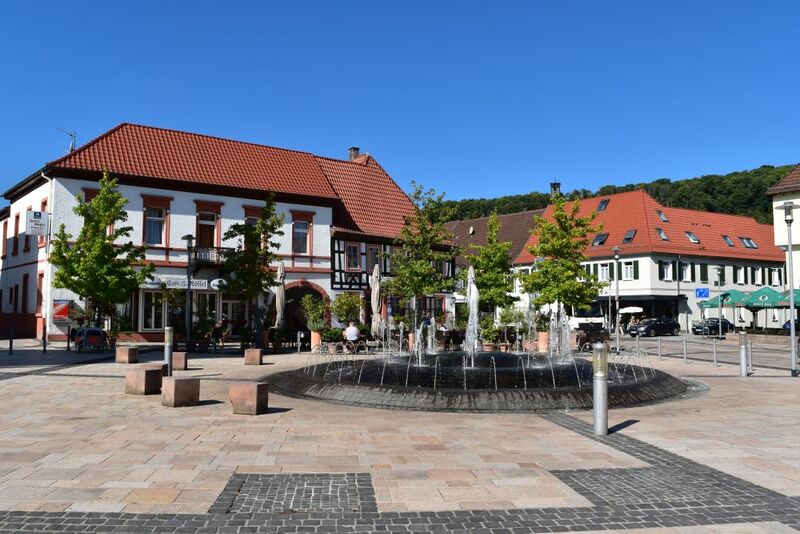 … and the market square woth another fountain. In the second hand shop called “Hoppla”, Ursula finds a pair of elegant German design shoes for 15 Euros. I find a linen white jacket for 15 Euro and a pashmere scarf for 5 Euros. We take it all – thank you, Ursula… but then – hoppla – we forget my favorite blue windstopper jacket in the shop called “Hoppla”, and we only notice it, when we are already in France. Ggrrrr… We drive back – it is about 10km – and we find the shop closed – until 2 PM. We look for a place to eat lunch. We find restaurants that are closed, uninviting or unwelcoming. Hesitating we stand in front of one of the closed restaurants, when a couple of about our age passing by says: “Just round the corner you will find the restaurant Haas, they serve excellent regional food.” Some minutes later we share a table in the restaurant Haas. We enjoy a great Leberknödelsuppe and a salad plate. 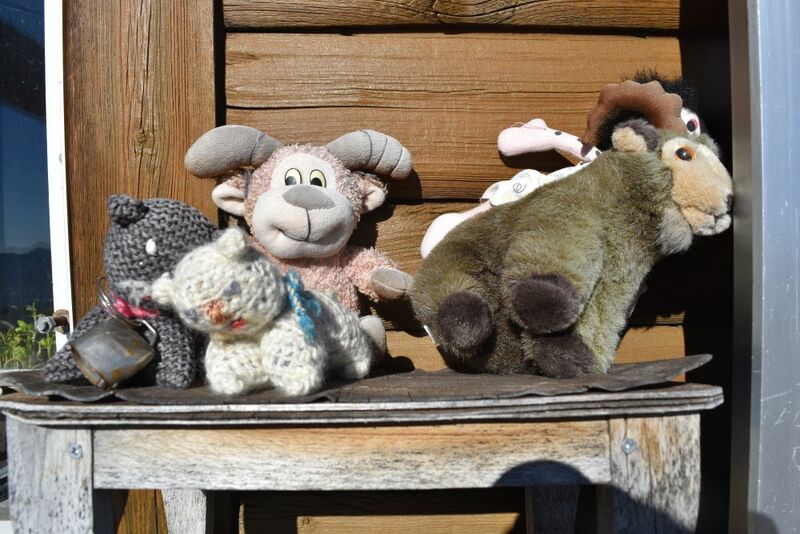 We learn that the couple lives in Namibia and comes home to the Pfalz every year, now that they have retired. I have been in Namibia as well, and we have a lot to chat – about the town Windhoek, the Etosha park, the Waterberg and the Namibian winery (yes that exists…). Well, hoppla, sometimes unluck produces luck. Shortly after 2PM the shopkeeper of “Hoppla” opens her shop and returns me my favorite blue jacket. Now we drive back to France. Schweigen is the last German village at the French border The Deutsche Weinstrasse of the Pfalz starts here. The beginning is marked with this gate. The gate attracts tourists. Hords have come here in busses. 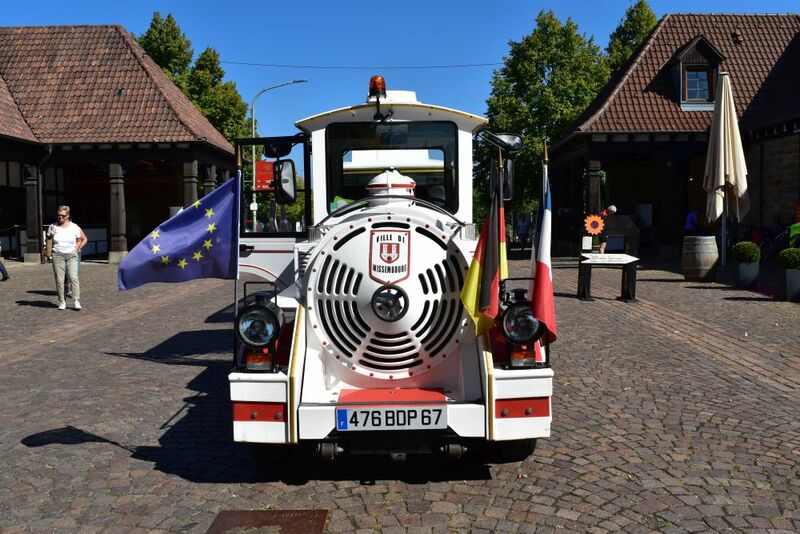 A train is ready to take them to Wissembourg just across the border in France. We leave this touristy place immediately. Both Ursula and I carry an old Dumont Kunstführer of the Alsace, mine is from the year 2000. The information about history and historic buildings are still valid. 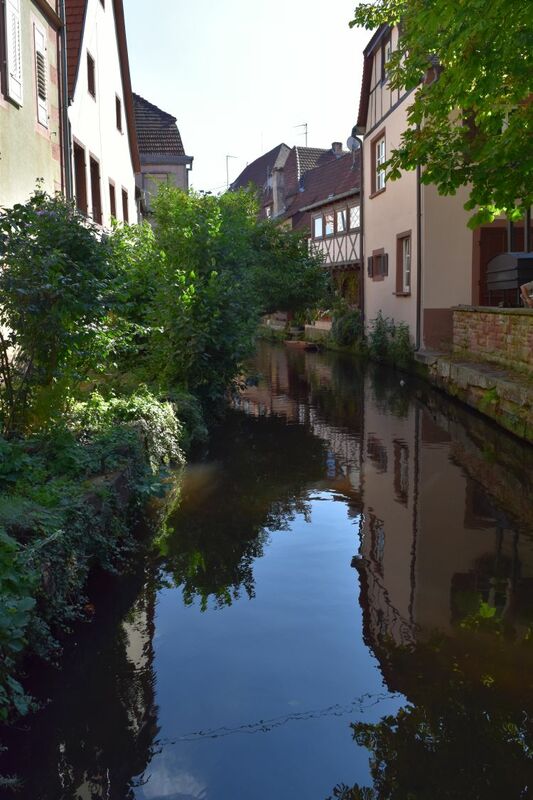 Wissembourg is our first village in the Alsace with half-timbered houses and a small creek -this is an arm of the Lauter. In the 11th century, a Franciscan-Claristic monastery was founded here and the construction of the cathedral St. Peter and Paul started. 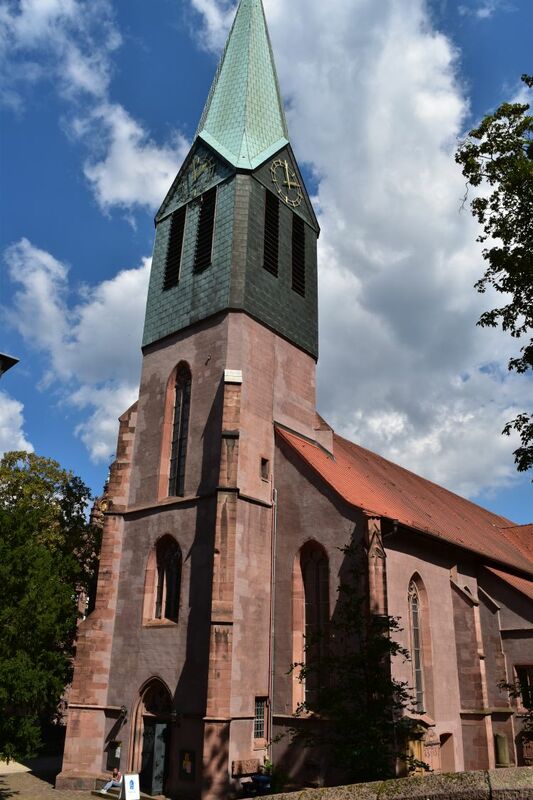 This cathedral is a gem with much preserved from Romanesque and Gothic times (source: “Die Kirche St. Peter und Paul”, Editions du Signe). 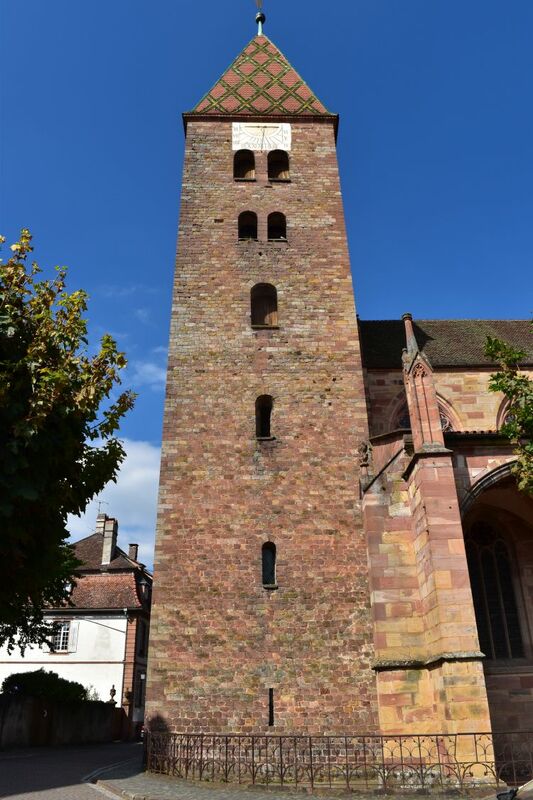 This Romanesque tower is from the 11th century. 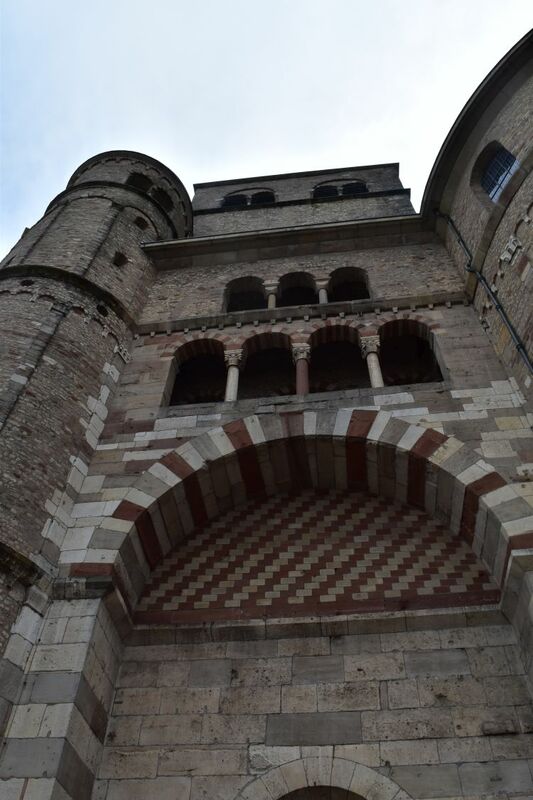 The second tower is Gothic in style – here is the view from the cloister. I love the solemn, dark-cool atmosphere inside with the 11th century representation of Christ made from one piece of painted glass with a diameter of about 25cm (the original is in Strassbourg). 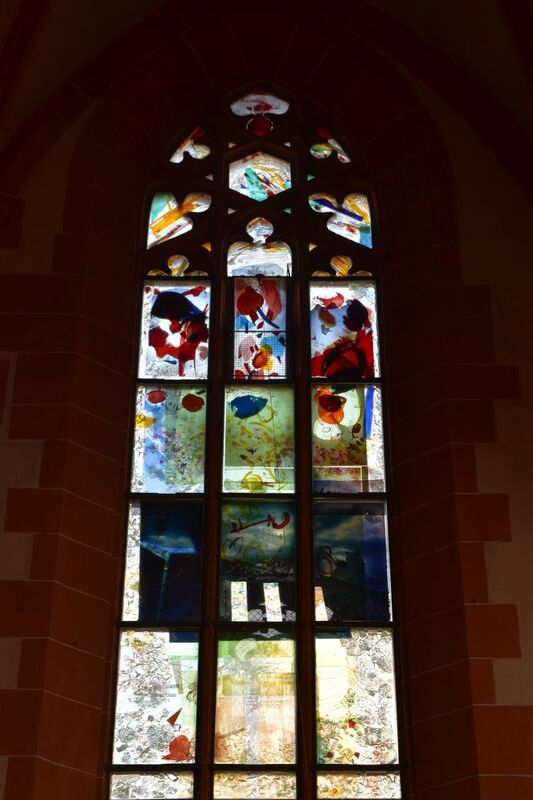 The windows are preserved – they are from the 14th century and earlier (one rosette is from 1190). 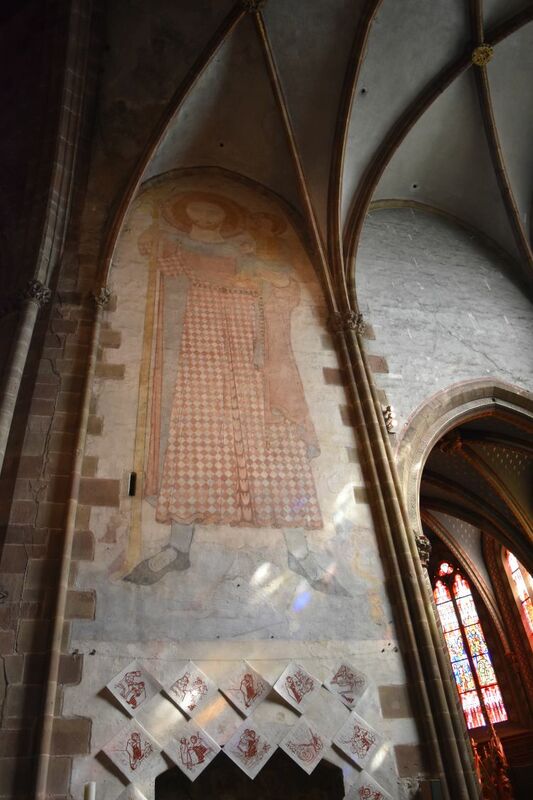 There are frescos like this Christopherus from the 14th century. This guy – you can tell – is working hard. The column weighs heavily on his shoulders. 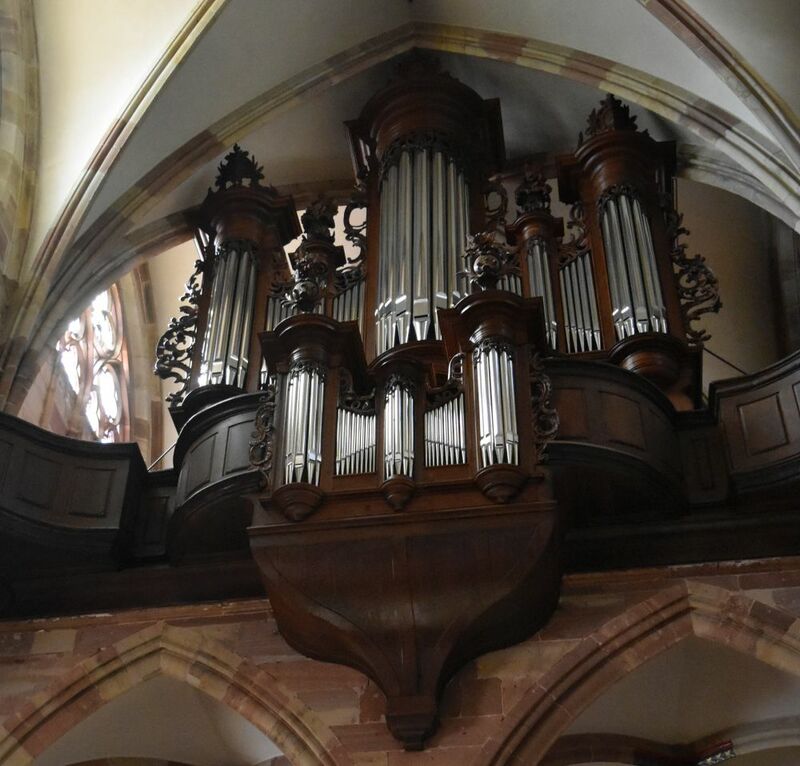 The organ is from 1766. 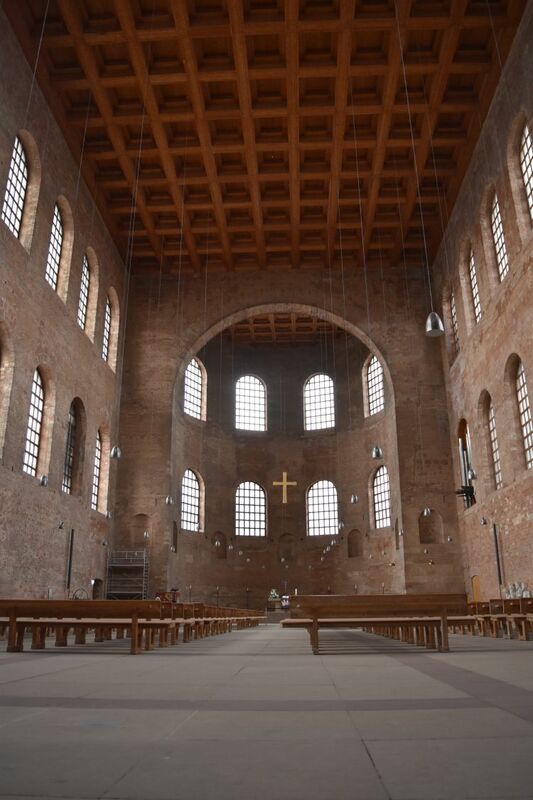 The attached Romanesque chapel hosts an art exhibition. We love this church and spend something like two hours here. Next stop is at Soufflenheim that produces pottery. The shopkeepers speak this soft Alsacian dialect, German mixed with French. 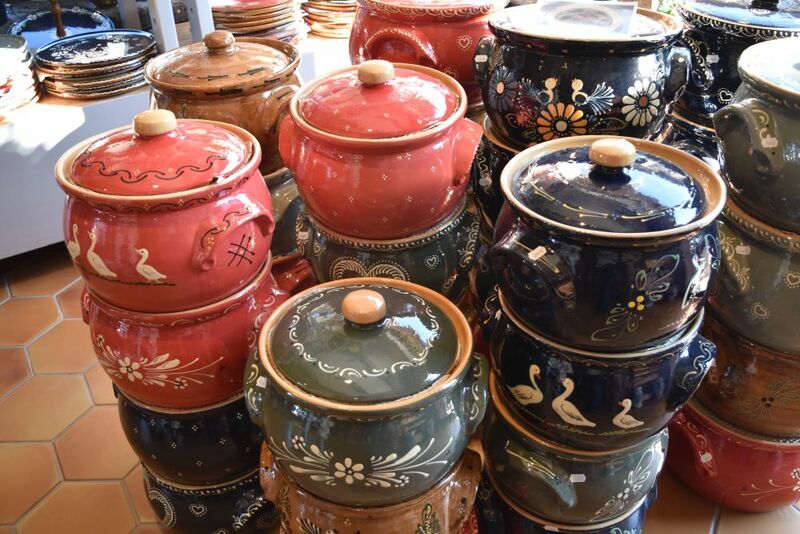 I buy an Alsacian cook book (“Kochen im Naturton von Soufflenheim” or “cooking in natural earthernware from Soufflenheim”). I plan to prepare the rabbit cooked in cider – it looks tempting. 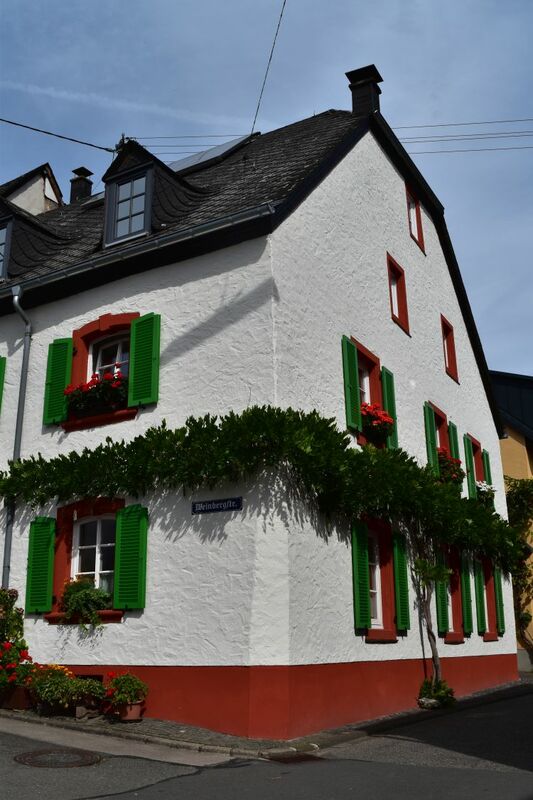 We decide to look for a hotel near Strassbourg and find the Moulin de Wantzenau, just some 5km away from Strassbourg. The Moulin is a charming place to stay. It is quiet here in the middle of nature. The attached restaurant serves delicious meals. We enjoy another warm summer evening in the garden. On Saturday (our 12th) day traveling, we expect the last sunny day of this long lasting sunny period. 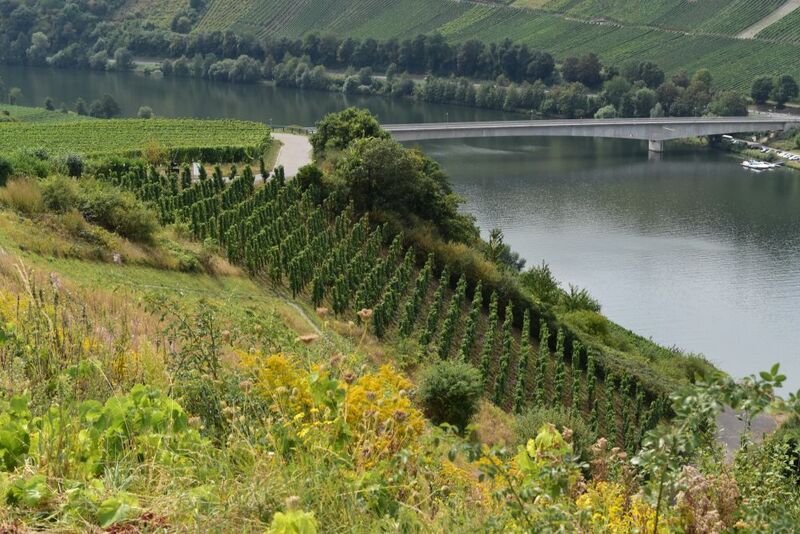 We plan to see the Mosel valley with its wine villages and some selected wine growers and go for a short hike along the meandering Mosel river. With my Johnson I had selected some wine growers around Piesport. Laurentiuslay and Goldtröpfchen are some of the first class vineyards. 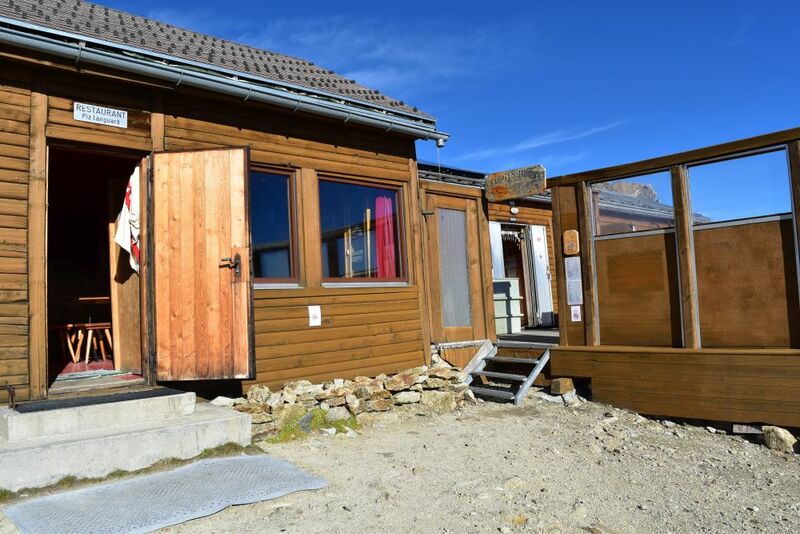 We try Clüsserath at Trittenheim – they do not open the door. Julian Haart in Piesport does not open the door either. Reuscher-Haart next door opens and I buy a Riesling with the name “Goldtröpfchen”, for 8.50. 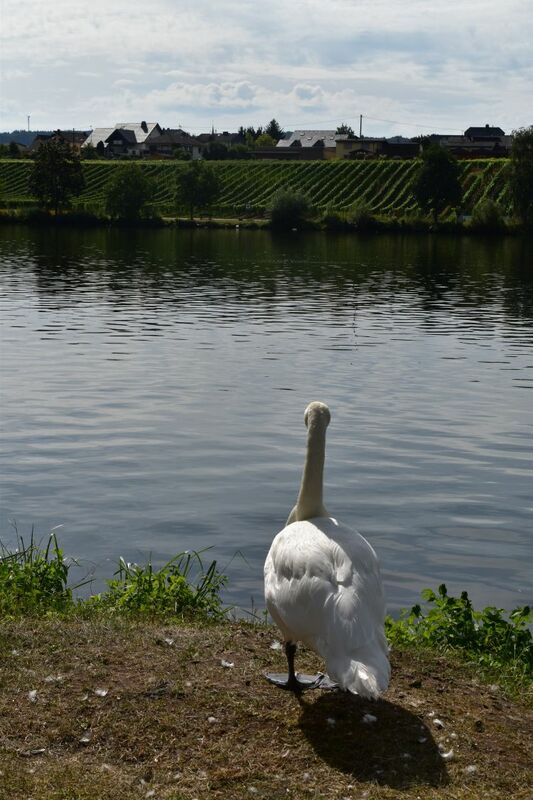 From their garden there is a romantic view of the Mosel – the swan enjoys it. In the late afternoon, we find the St. Urbans-Hof in Leiwen open. A couple is working in the courtyard. They are from Poland and tell me that the manager is out today at a wedding. Ah, you want only one bottle and you pay in cash? They fetch me a bottle Spätlese from the vineyard Goldenes Tröpfchen für 27.50 Euro. On the wine list I see that their Laurentiuslay 2015 (Auslese) is not yet available and will cost 100 Euros. Grans-Fassian is another interesting winegrower of Leiwen, but we leave him for some other time. We walk from Piesport to Minheim. Minheim lies at the end of a half island formed by the meandering Mosel. This is the view of the northern slope of the half island: Steep, rocky and covered by dense forest. Piesport is below us. 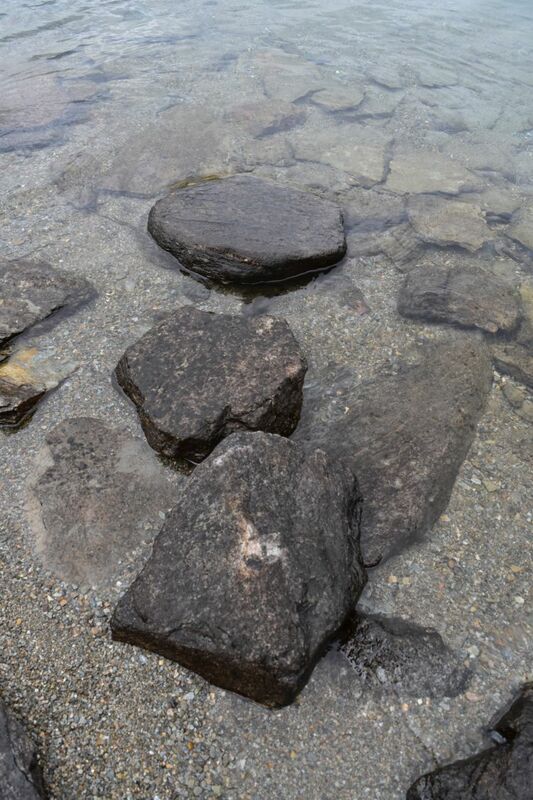 We park our car and walk towards the rocks. The steep rocky slope is called “Loreley of the Mosel”. 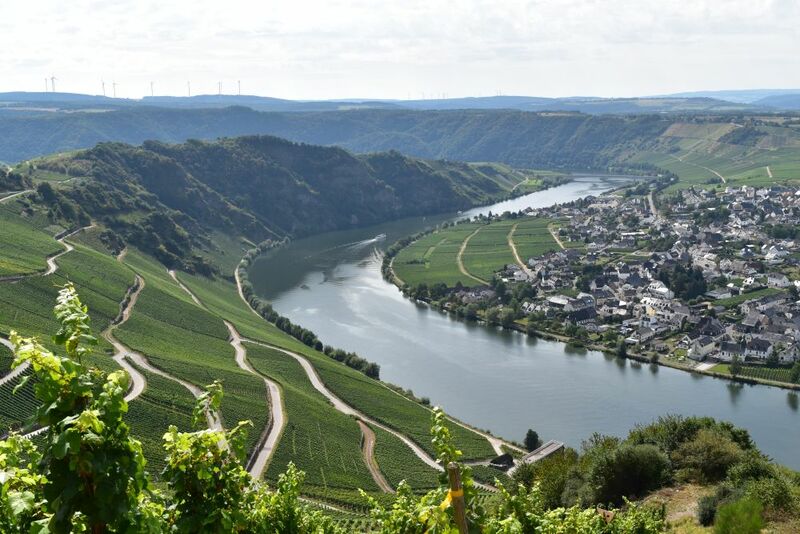 From the Loreley viewpoint we look down to Piesport and the vineyard called “Goldenes Tröpfchen” labeled above it. This is the panoramic view taken by Ursula. 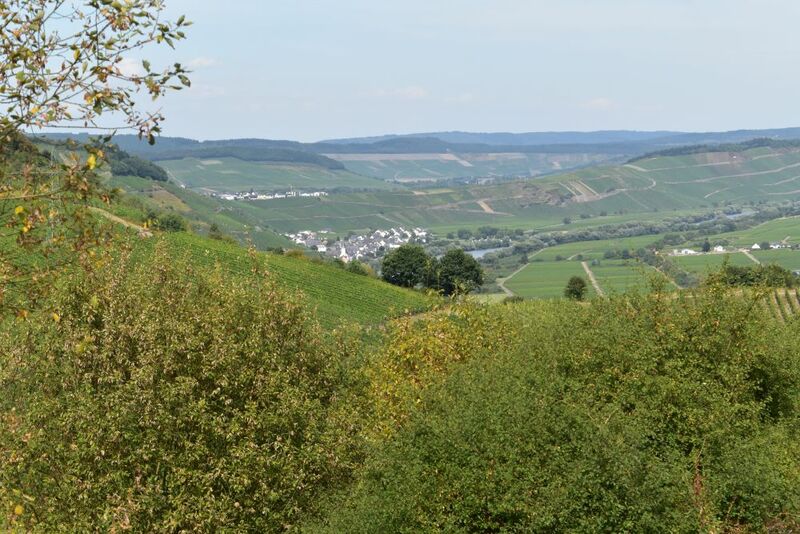 Walking on top of the half island, we see several vineyards, one behind the other, each bordering a different meander of the Mosel on south facing slopes. 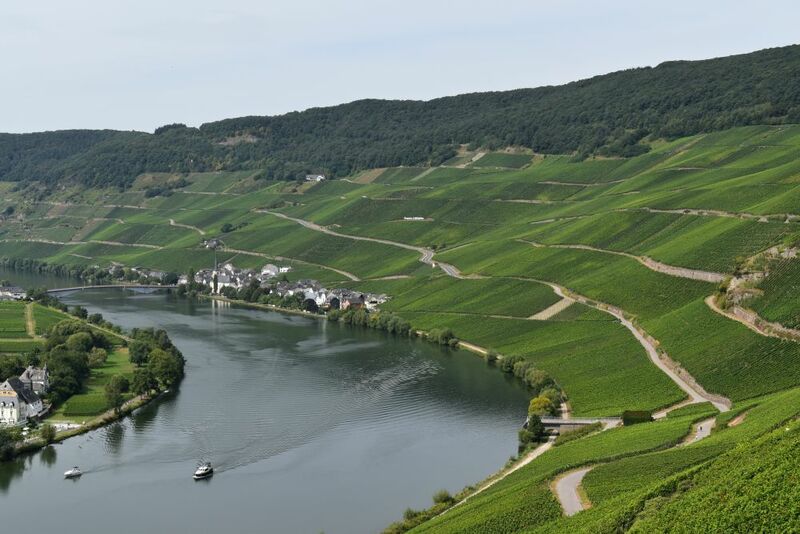 The Mosel has fought its way through hard rock with softer layers that forced it to meander reverting its flow from south to north giving many opportunities for growing wine on sun facing slopes reflecting in the water. The impressive scenery is visited by hikers, bikers, motor bikers and, of course, by wine lovers. The grape grown primarily is the Riesling. Minheim lies on the sunny side of “our” half island. Some of the vineyards are very steep here. 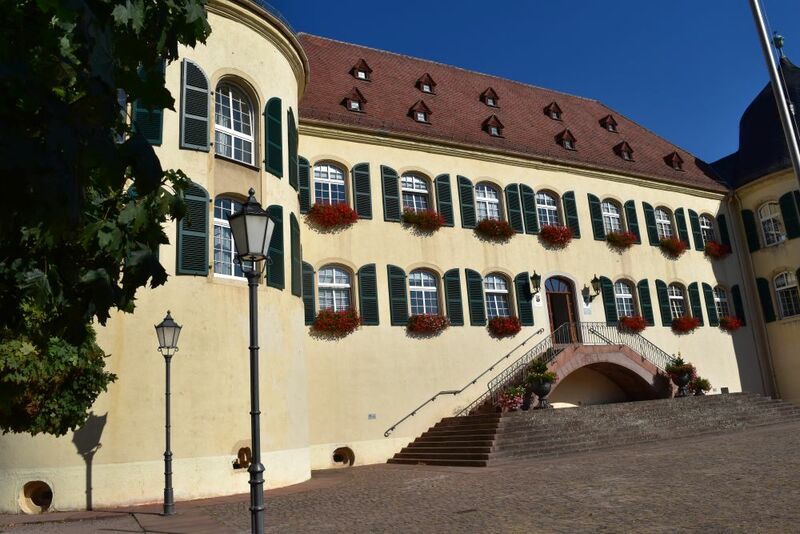 Minheim is a village of wine growers – layed off and quiet in the midday sun. We find the small restaurant managed by a Dutch couple where we have a drink. 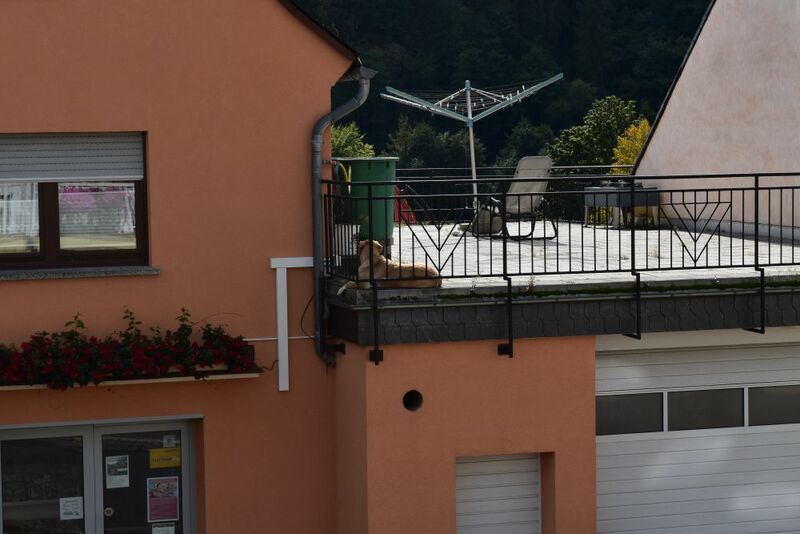 The dog on the balcony across the street has settled in the last edge of shade. It IS another hot day today. We climb back to the top of the half island with its Loreley viewpoint and we do feel the burning sun. This must be a great year for the grapes. After about one and a half hours we reach our car. With the car we follow the Mosel meandering north and south and north and south to reach Schweich and our hotel Grefen. I finish the day with zander and a Riesling from Annaberg, the vineyard our host found his hunting luck. We do like our family hotel – the Fuchs family fills it with their charm and hospitality which makes us feel at home. 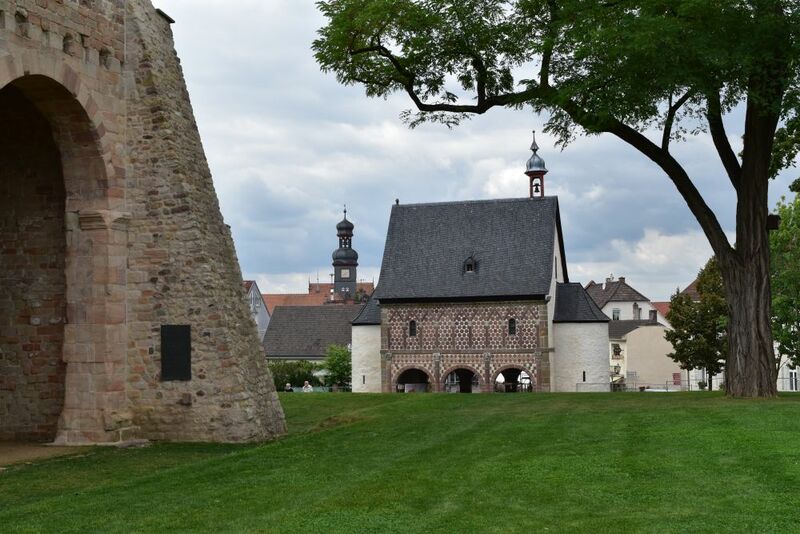 Lorsch was an imperial monastery founded in the 8th century. Today it is known for these arches. Above the arches there is a room with frescos, as this plate shows. Around the monastery are the remains of a church, reconstructed buildings (to illustrate the monastery), a garden with herbs, and a pretty, small village with half-timbered houses and welcoming restaurants. 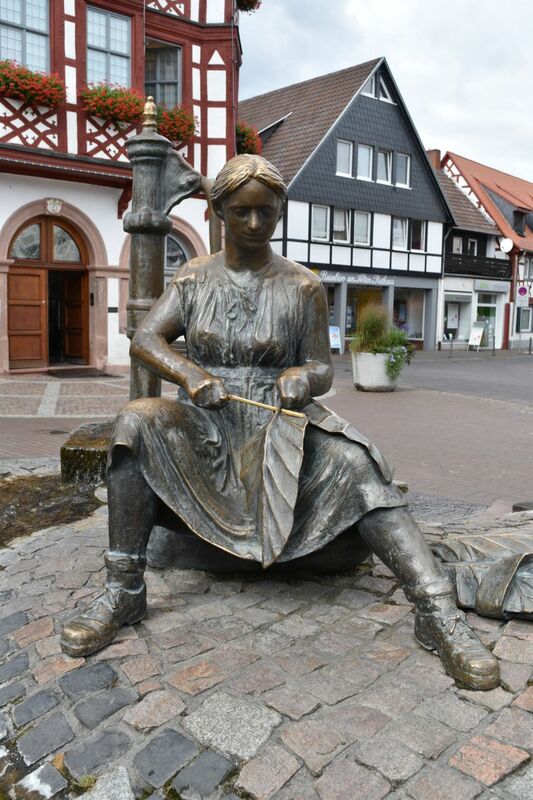 This fountain shows a woman with tobacco leaves. 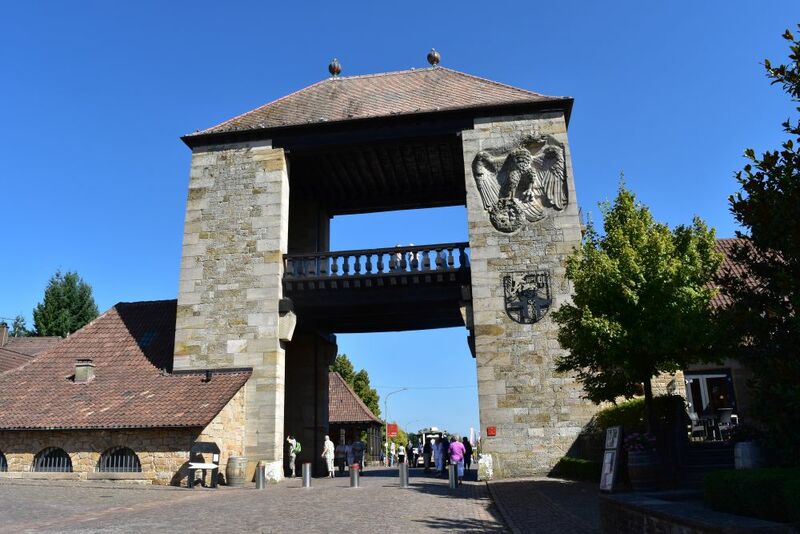 Lorsch takes care of its world heritage and loves to share it with visitors. 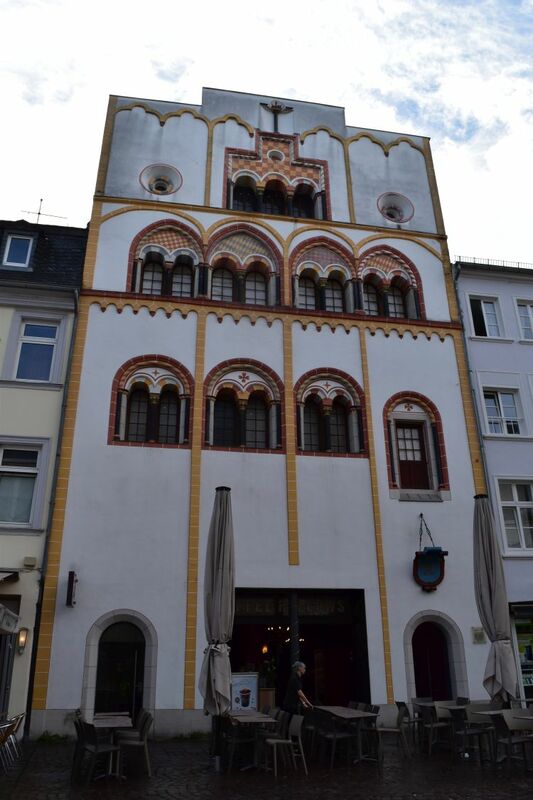 Then we continue our way to Heidelberg and settle in the hotel Monpti in the old city center. The hotel is about okay, but a bit noisy and it may need some renovation. It is like coming home for me, as I was born in Heidelberg. We start our 14th day with an early morning walk down to the Neckar to catch some photos of the city river line. I had to climb through the trees and bushes to take my morning photo. 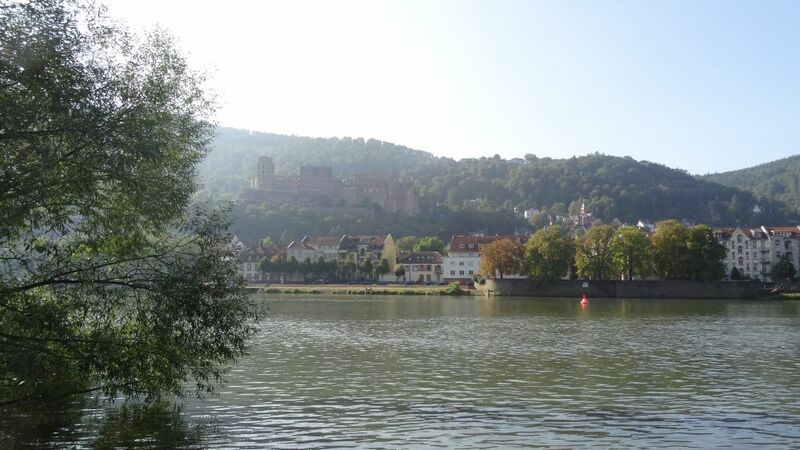 Ursula took this foto of the famous Heidelberg castle in the haze. 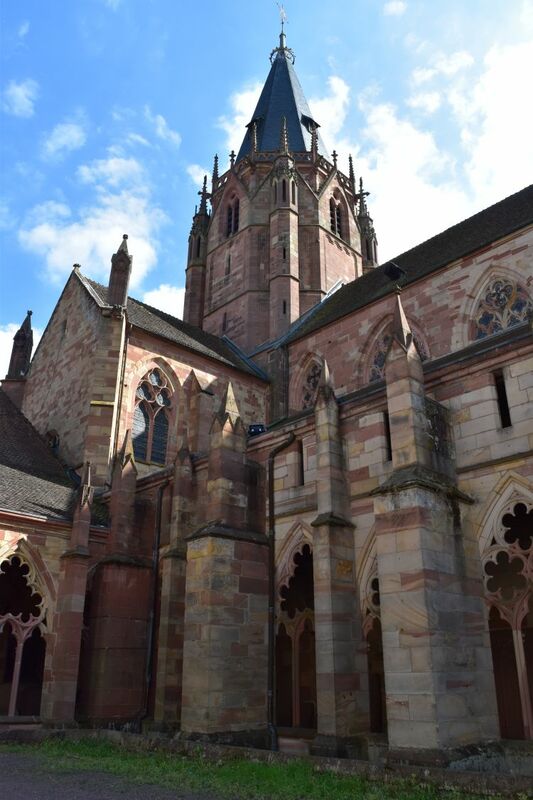 Having crossed the Neckar, we visit the gothic Heiliggeistkirche. Inside the light is beautiful. All windows of the church have been made after 1945. 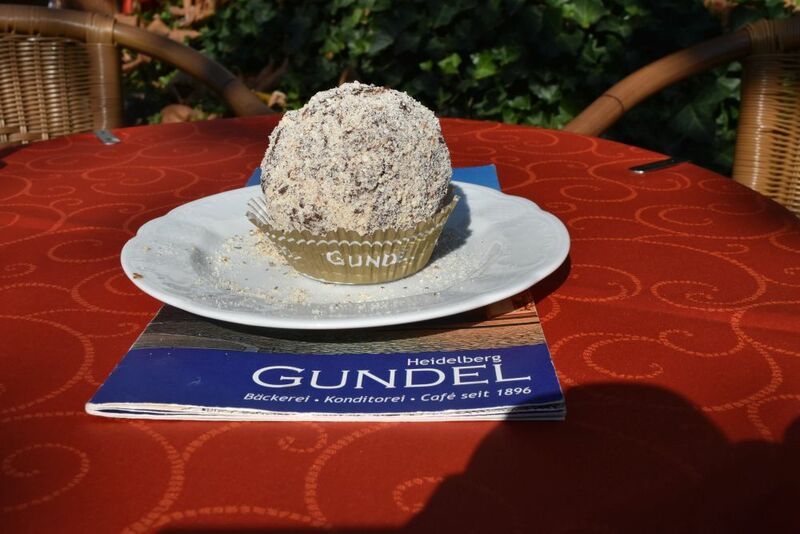 We have a coffee in the traditional confectionary Gundel. They are proud of their specialty “Mohrenkugel” that the grand-grand-father had invented for the anniversary of Kurfürst Friedrich V and his wife Elisabeth Stuart. Inside the Mohrenkugel there is a nougat filling. This is the story: The grand-grand-father could not think of a creative shape for the anniversary sweet. The daughter asked him to tell her the fairy tale of king frog. While she fell asleep, the confectionist took the ball the (king) frog retrieved from the fountain and invented the “Mohrenkugel”. Over steep stairs we reach the famous ruins of the Heidelberg castle in ten minutes. 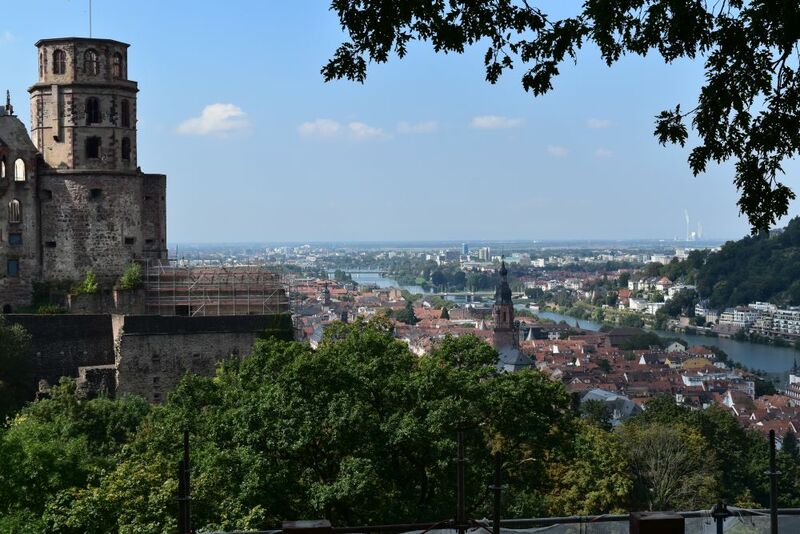 We enjoy the view of the city center, the Neckar and Mannheim. 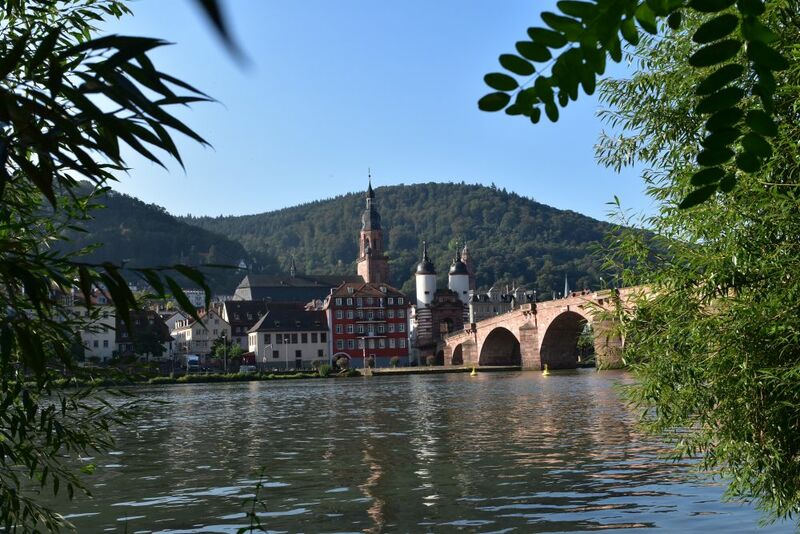 The Heidelberg castle originates from the 13th century. Each Kurfürst added one notable building, e.g. Ottheinrich added the Ottheinrichsbau (Renaissance, early 16th century) or Friedrich the Friedrichsbau (around 1600). 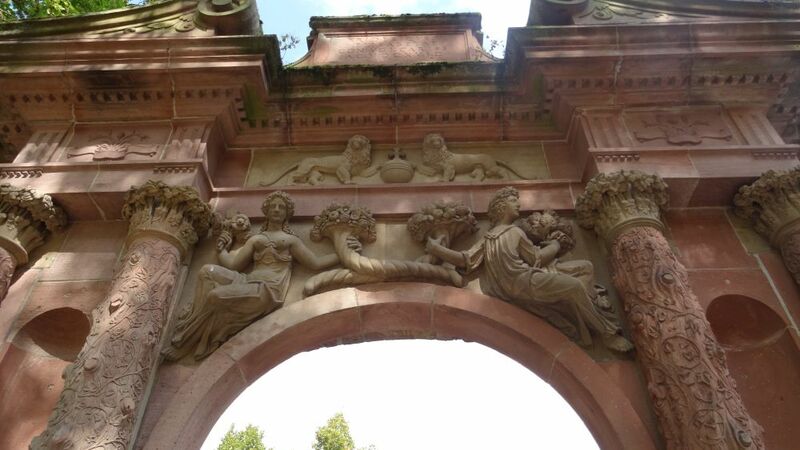 Friedrich V also built this gate for his wife Elisabeth Stuart that he was in love of (Ursula’s foto). The castle was destroyed in the Palatine succession wars end of the 17th century, as Louis XIV wanted to expand and conquer the Palatine (Pfalz). The castle was never rebuilt, and later it was decided to preserve just the ruins, as poets such as Goethe had already made it known which attracted tourists. We stroll through the old city center. 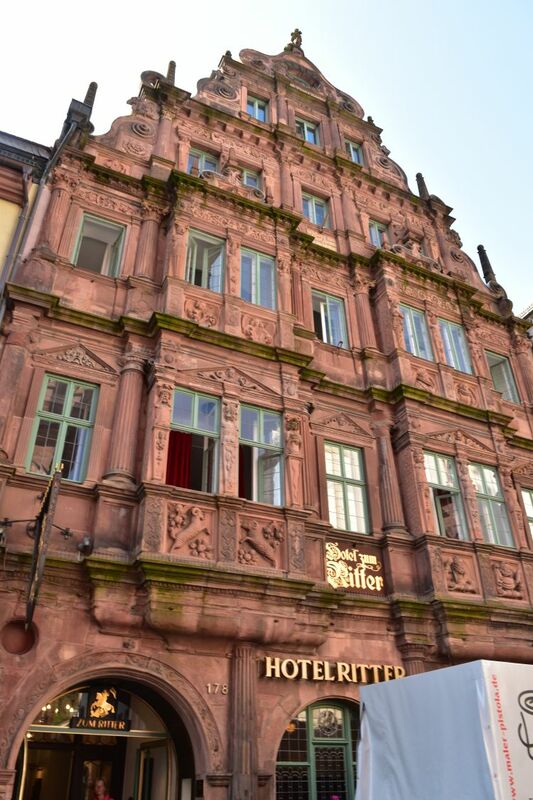 This is my favorite building, the Hotel Ritter with its Renaissance fassade. Ursula has memories of the university library. Some years ago she studied the facsimile of the Codex Manesse with the medieval minstrel songs such as by Walther von der Vogelweide. She cites “Ich saz ûf eime steine,und dahte bein mit beine…” . He thinks and concludes that he does not succeed trying to achieve honor, possession and the mercy of God at the same time. Our hotel is close to the gothic St. Peters’ church that hosts a lot of interesting epitaphs – some tombstones are more than 500 years old. 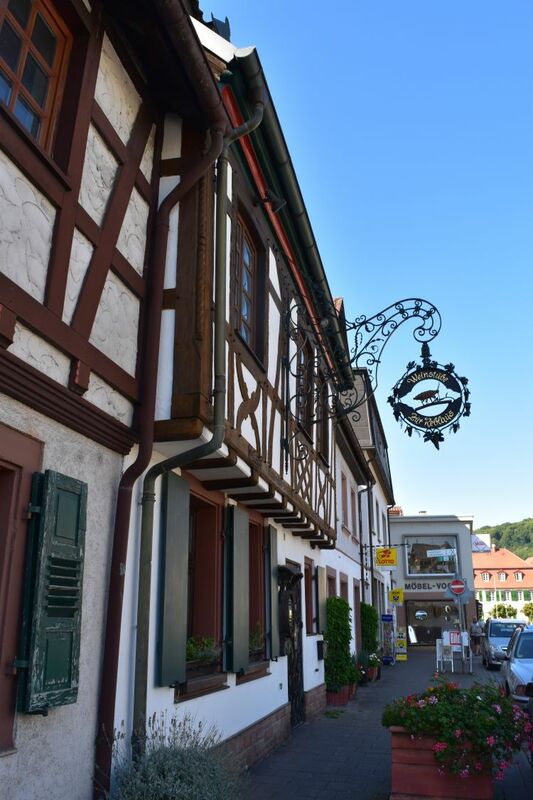 We spend the afternoon with a friend of mine in a small village close to Heidelberg and then have dinner in the restaurant Romer… a gourmet dinner with sea brass. Delicious. Sunday and our 13th day in Germany. For the first time after two weeks I hear rain splashing. 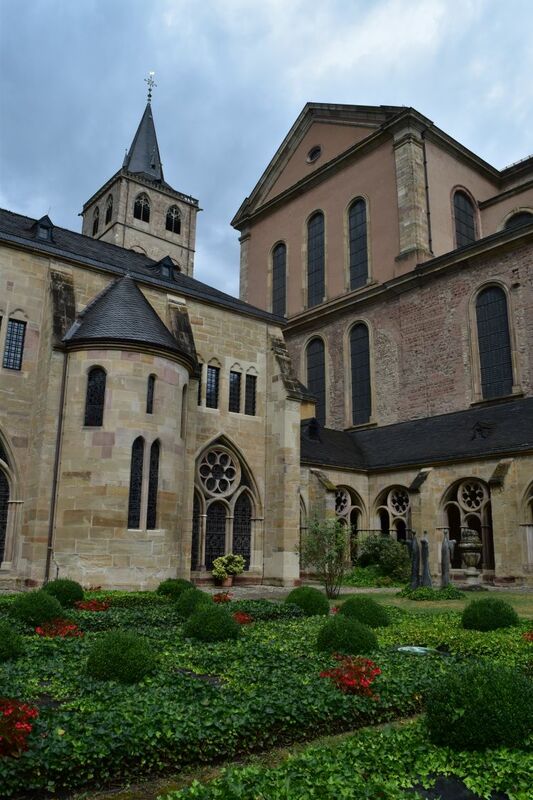 Today is a good day to visit Trier with its museums and churches. 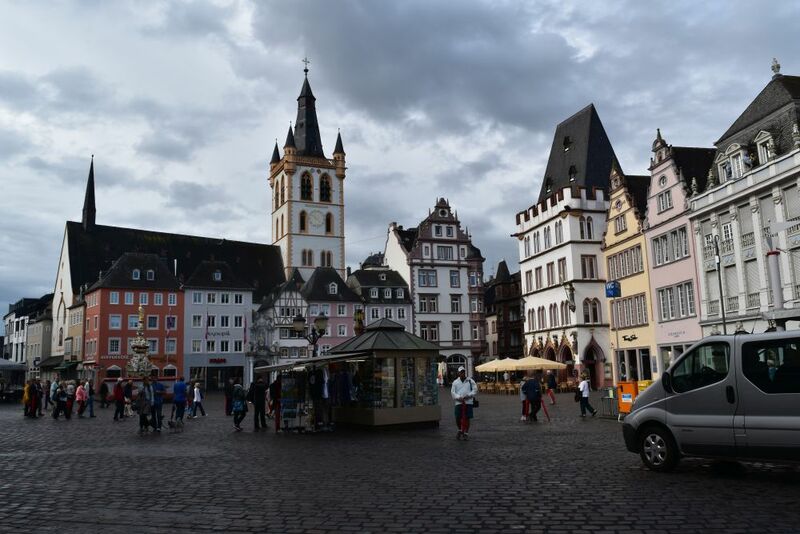 We take the train from Schweich to Trier and arrive in the city center without having to look for a parking lot and pay for it… good idea, Ursula. Trier has already been a Celtic settlement. Then it was the capital of the Roman Provinces of Gaul, called Trevorum. Already around 250 AD it had its first bishop. In the German Empire it became the seat of one of the migthy archbishops that elected the emperor (Erzbischof and Kurfürst). 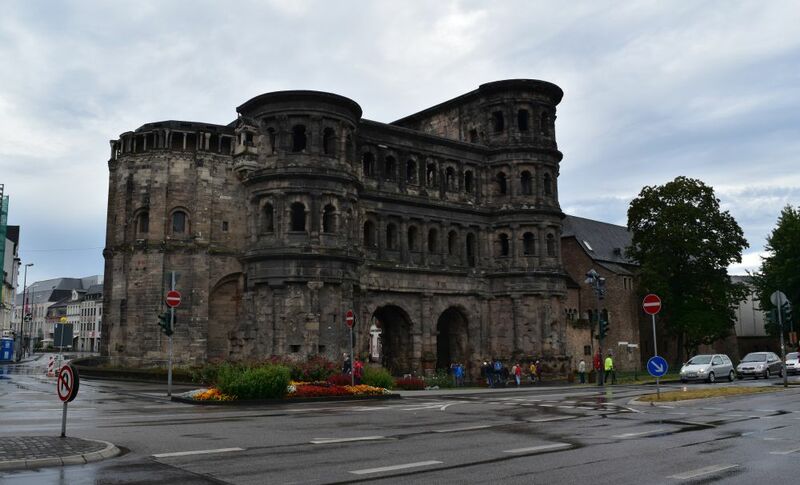 The Porta Nigra is this “black gate”. Somehow it is like coming home for me – I have seen this gate with my mum, when I was 15 years old. The gate has been built for representation, not for fighting, somewhat like a triumphal arch. I learn that the Porta Nigra only survived, because Saint Simeon decided to live in this gate. Later Napoleon prevented his troops from destroying the Porta Nigra. 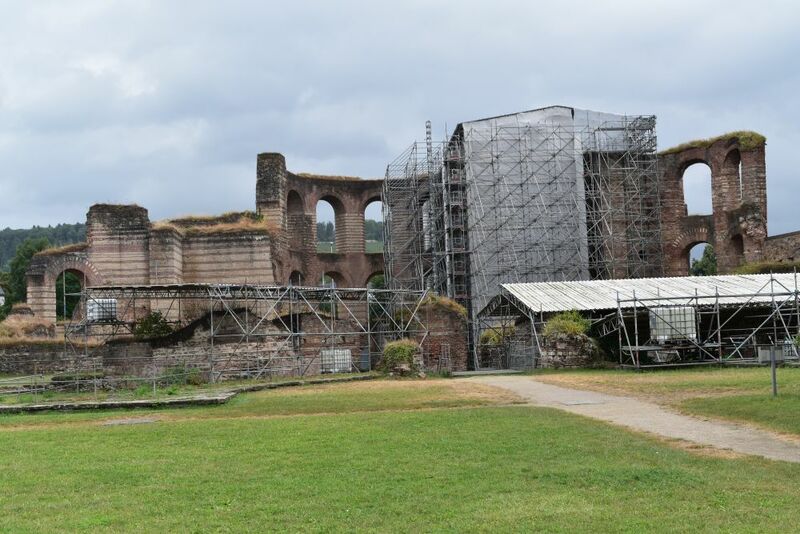 The Kaiserthermen or Imperial Baths are being renovated. 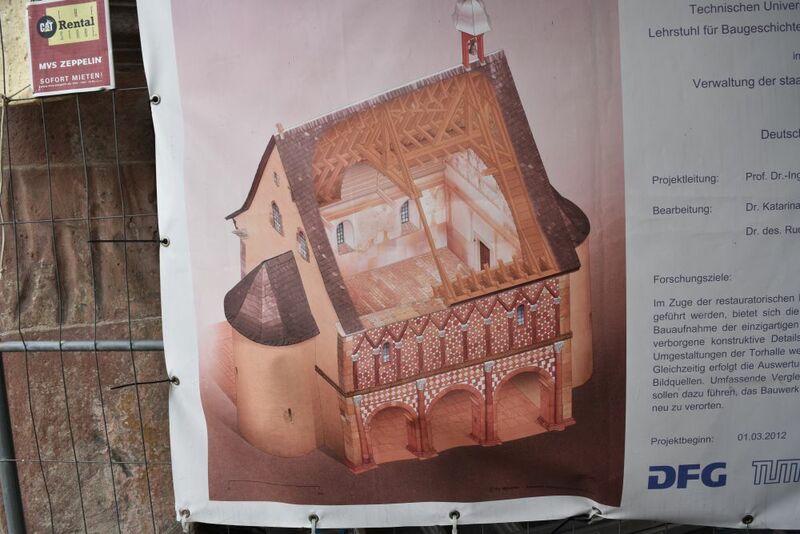 When constructing a park house under the Viehmarkt in the late 80-ies, Roman baths and a medieval monastery were found. This is now an underground museum, covered by a glass cubus. The ruins are numbered and well explained on the museum map. These are the remains of the Roman swimming pool. 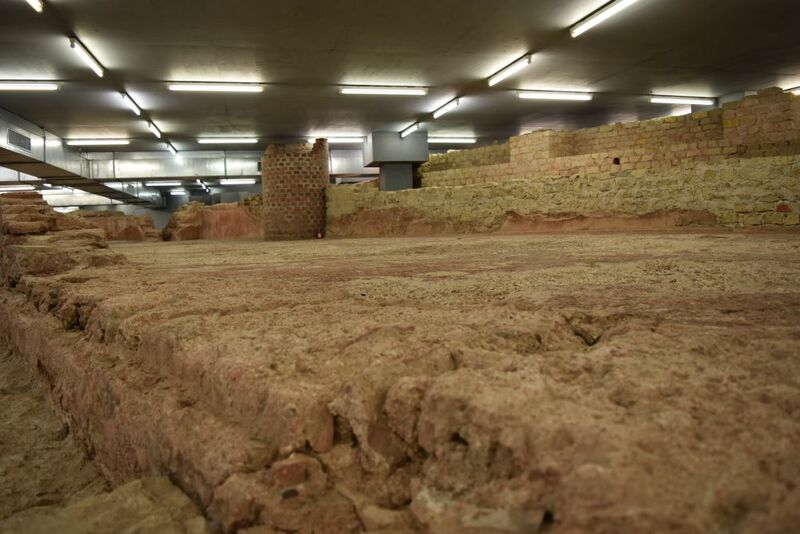 The underground ruins give an interesting contrast to the upperworld life on the Viehmarkt. Currently three museums tell the story of Nero. We visit the historical analysis of his life in the Landesrheinisches Museum. Great exhibition. Nero has been adopted by emperor Claudius that had married his mother Agrippina. He now was the oldest son of the emperor and succeeded Claudius, when he was 16 (in 54 AD). Well educated by the philosopher Seneca, he was a good emperor for about five years, modernizing Rome and providing games to the people. They liked him. Then he more and more showed, what we remember him for: He killed his mother and his first two wives, he accused the Christians to have set fire to Rome – and killed many of them, and he devoted more and more time to carriage racing, writing poems, singing and acting. After having spent 16 months in Greece (somewhat like a sabbatical), the senate forced him to resign and he commited suicide. He was 31 years old then. Though the senate tried to erase him from the memories of history, he is one of the emperors that is best remembered today. The exhibition about Nero is well curated, even at times with injections of humour. 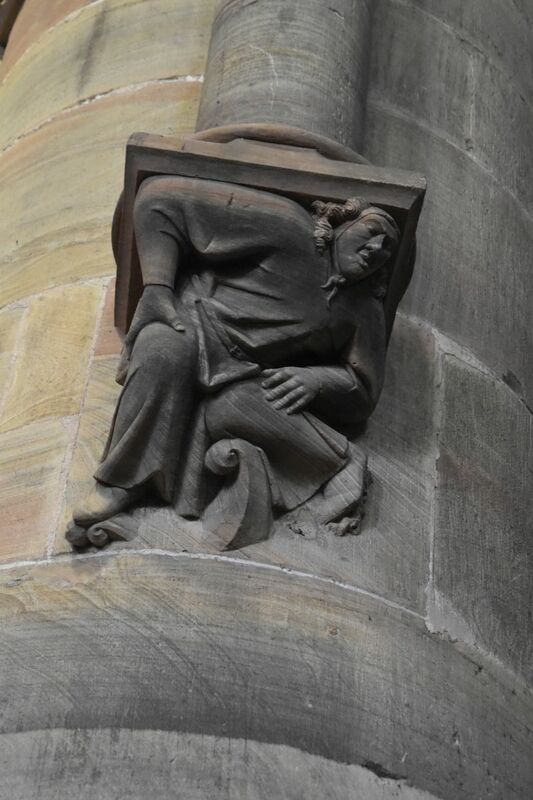 The Liebfrauenkirche is one of the first gothic churches in Germany, built on the foundations of a Roman palace. 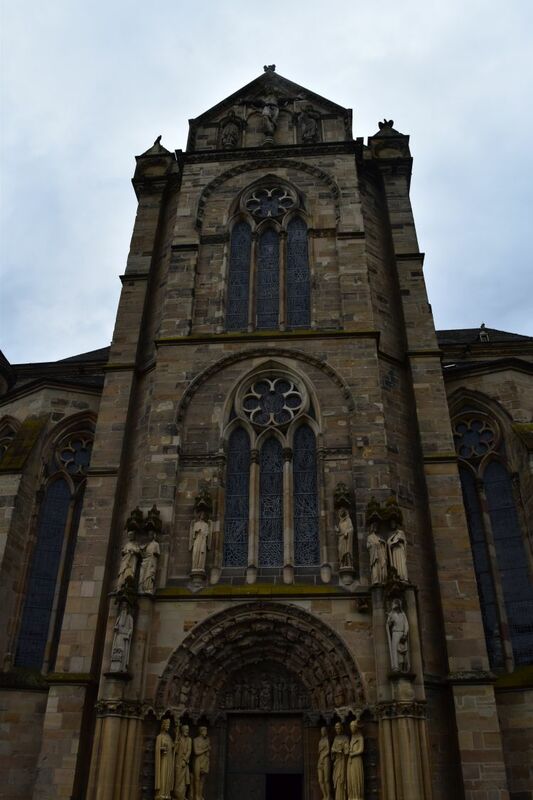 The cathedral, just next to it, has been built integrating Roman foundations from the 4th century. Both the cathedral and the Liebfrauenkirche share the cloister. 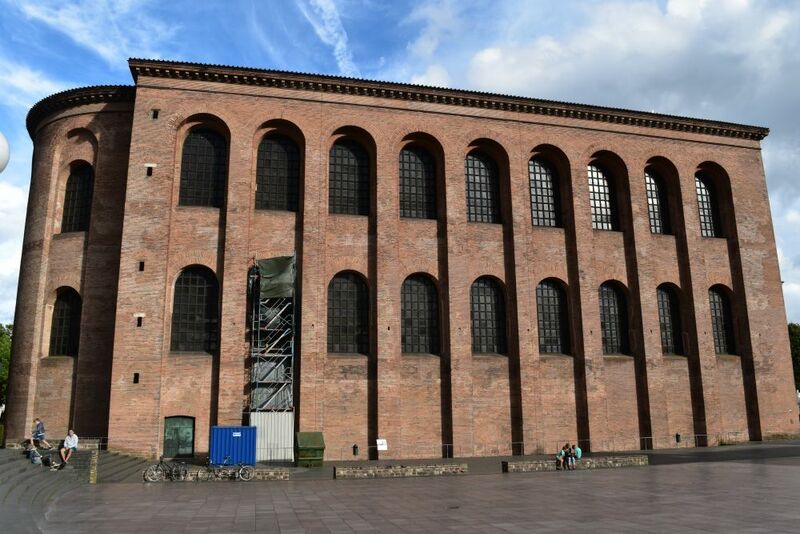 Not far from the complex of the cathedral and the Liebfrauenkirche there is the old basilica of Constantine, built in 315 AD. 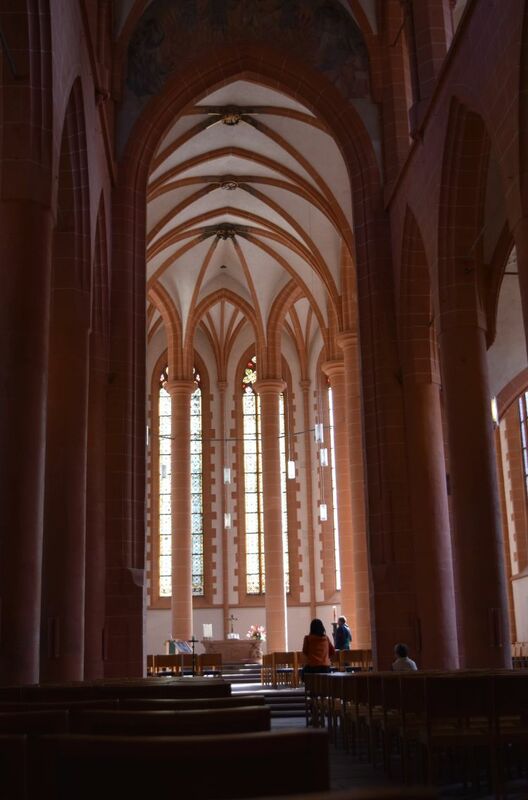 Inside it is a beautiful church – its simplicity invites to pray. 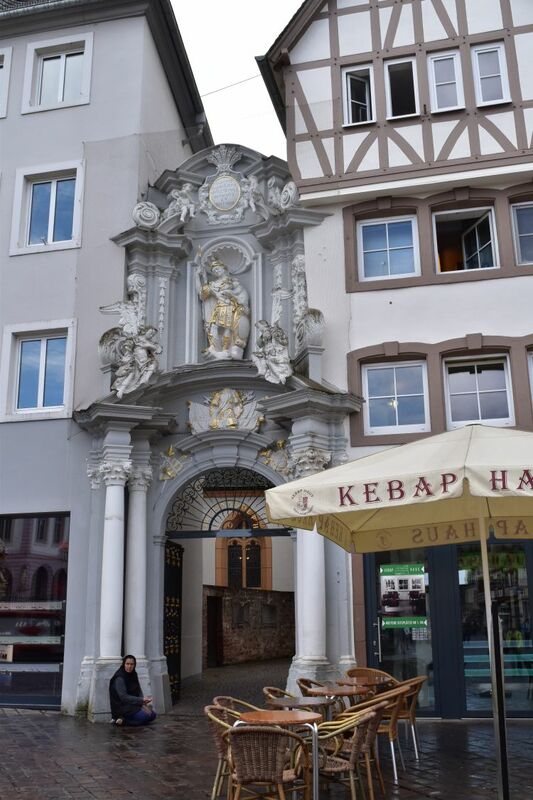 The old city center of Trier is charming. This is the tower house “Dreikönigenhaus”. The “real” old door is far above the ground and can only be reached with a ladder. (The door on ground level has been added later). 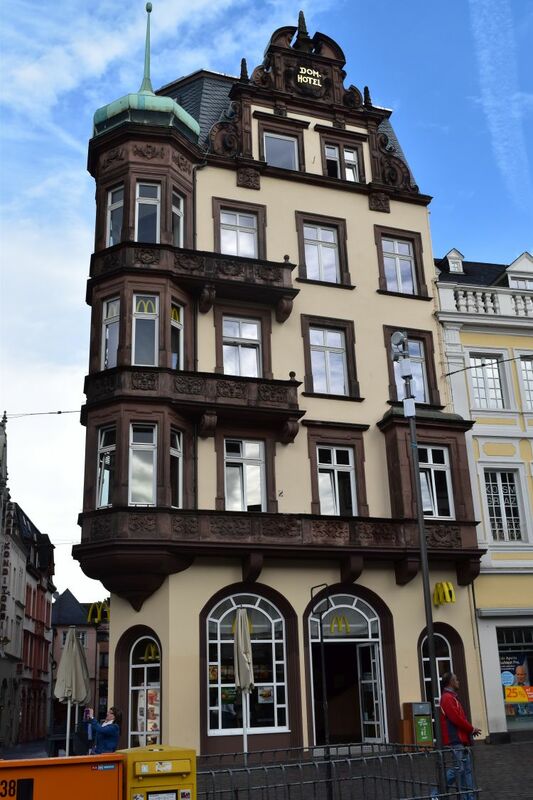 This is a beautiful house with MacDonalds inside… the “M” has been kept “modestly” small. 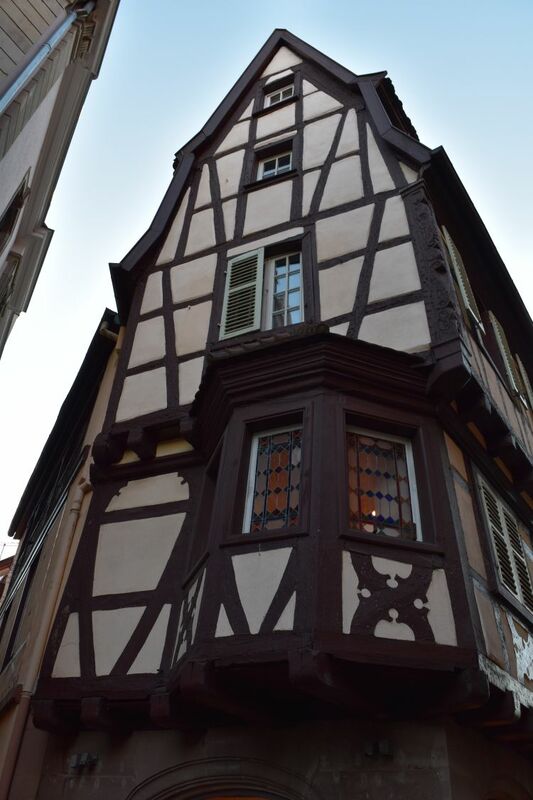 Old and new meet one another – such as this rokoko building next to a Kebab restaurant in a half-timbered house. 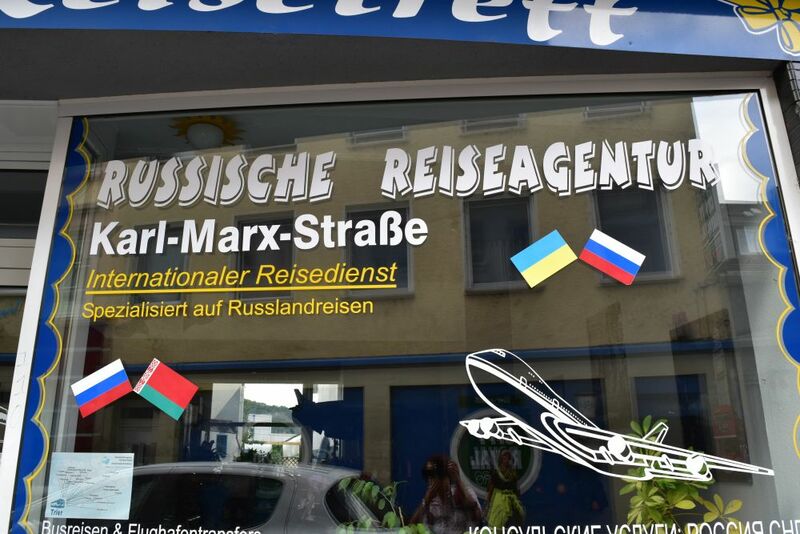 Karl Marx is a son of Trier. 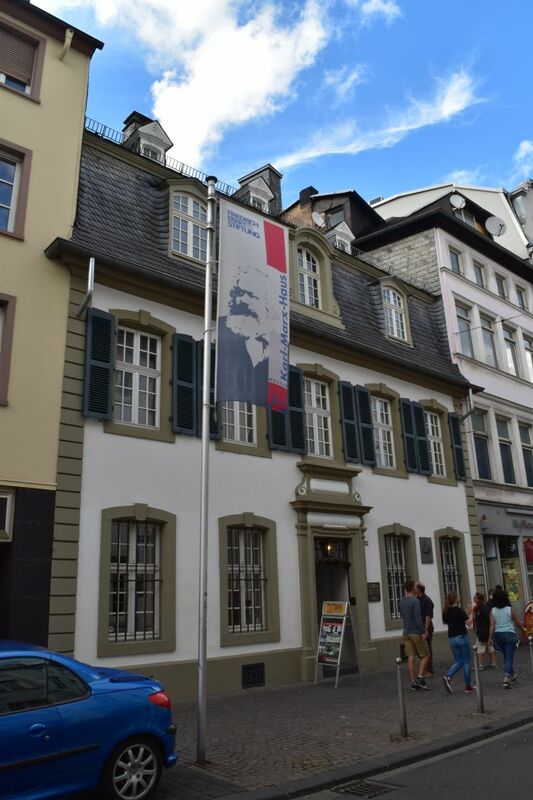 The house, in which he was born, is now a museum. 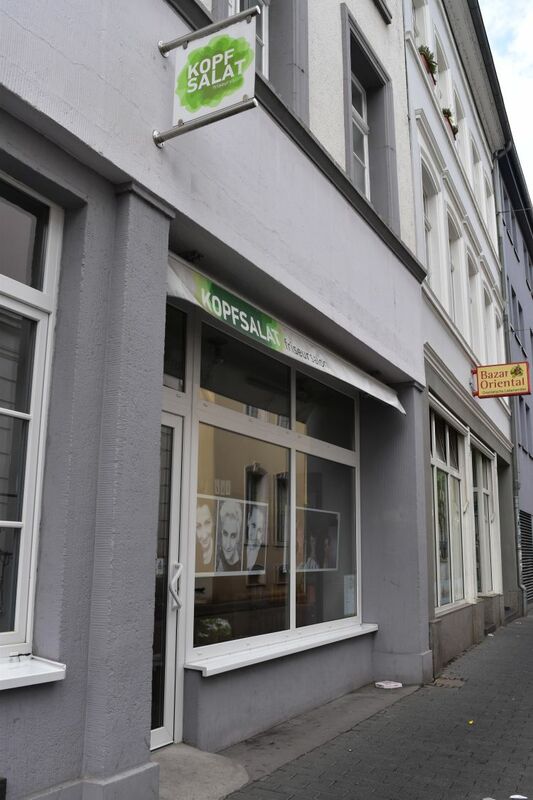 and this hairdresser that I may not consider for cutting my hair (“Kopfsalat” is German for butterhead lettuce. The literal translation would be “head salad”). Klein Florenz (Small Florence) is also not far. 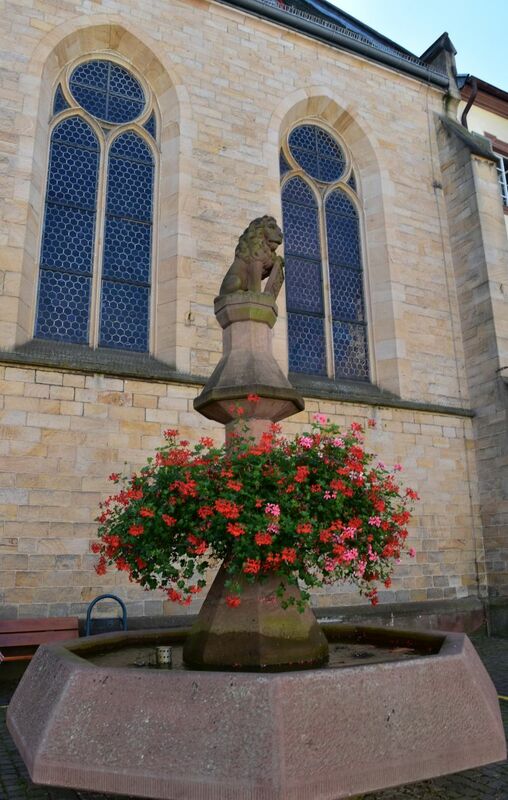 In my memories from 50 years ago, Trier was primarily a town with remains from Roman times. 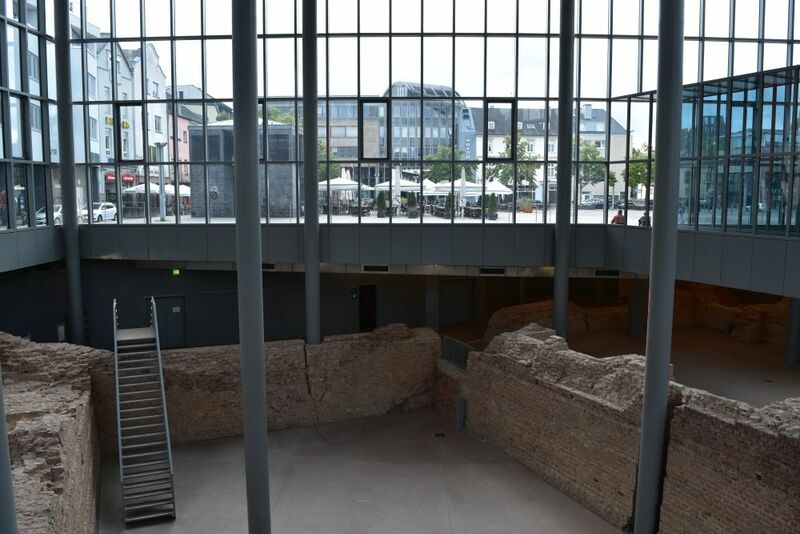 Now, I am impressed, how the Roman foundations have been kept and integrated later (such as in the cathedral or the Roman Baths at the Viehmarkt). I also liked, how well kept the medieval city is and lives today. 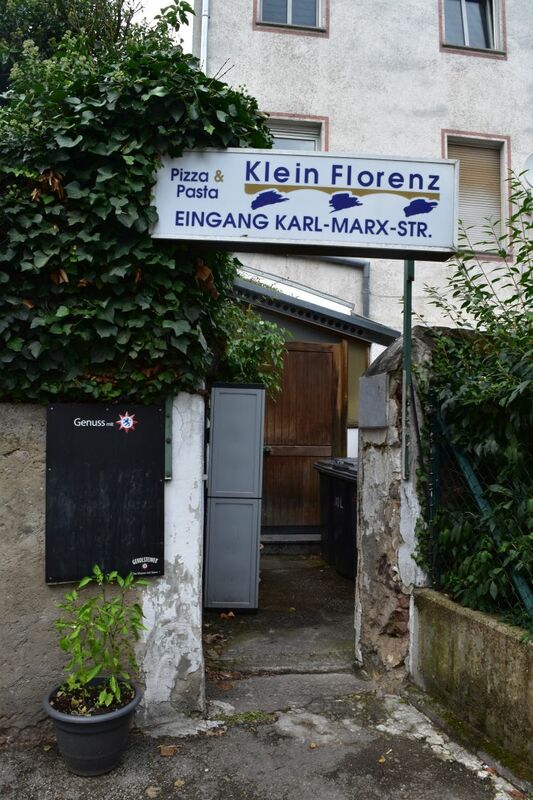 And I have learnt that with Karl Marx being born here, Trier (in a way) was the origin of the socialist and communist movements.